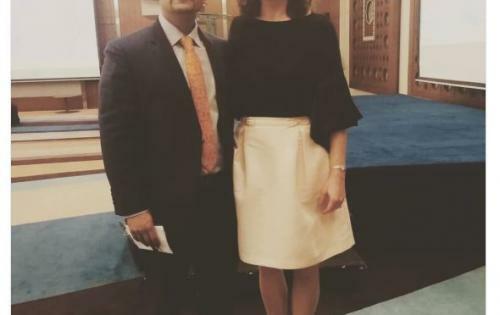 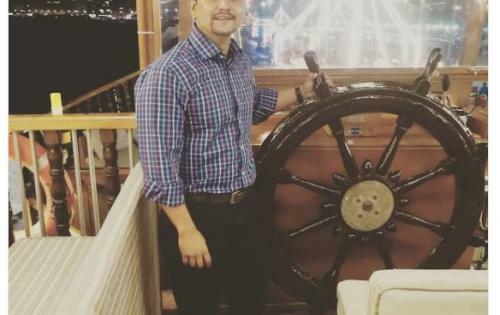 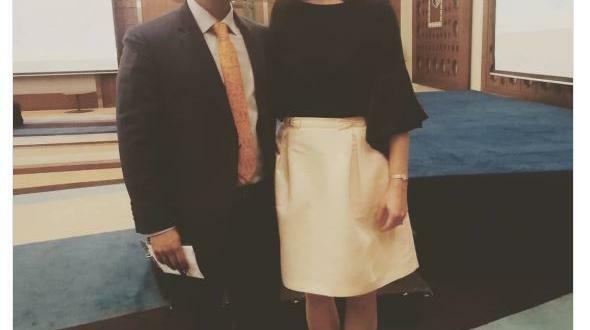 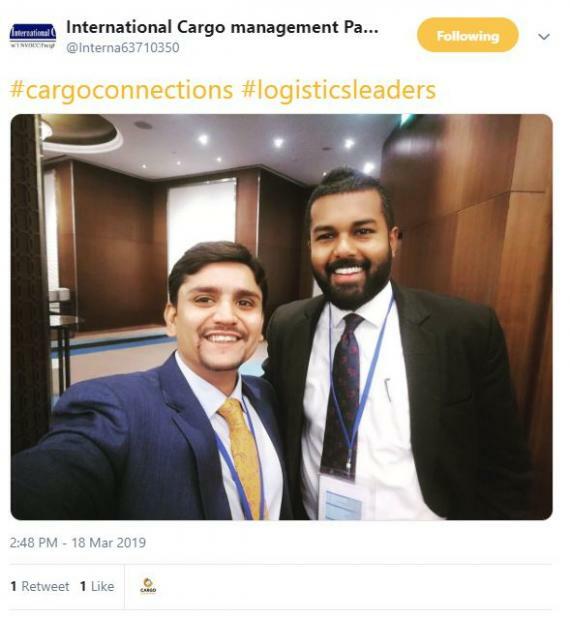 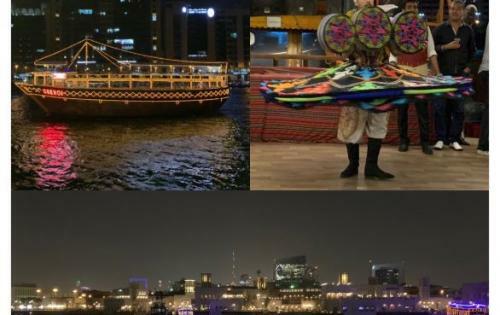 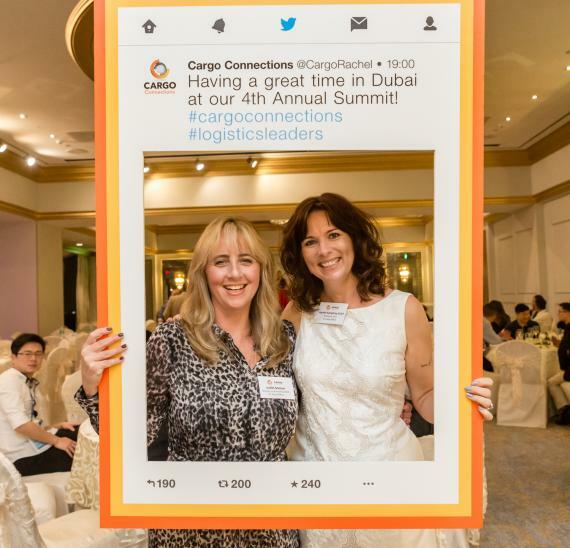 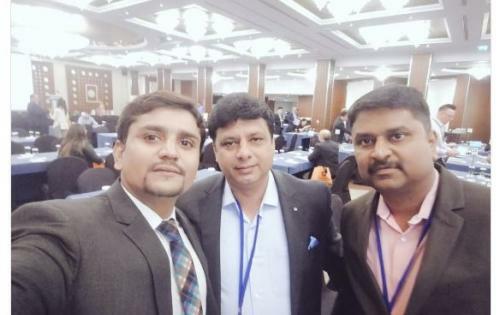 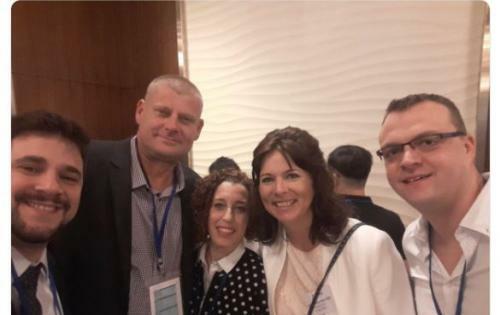 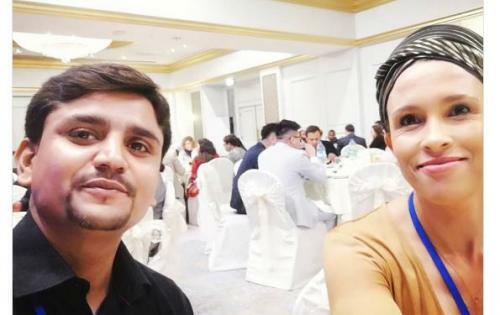 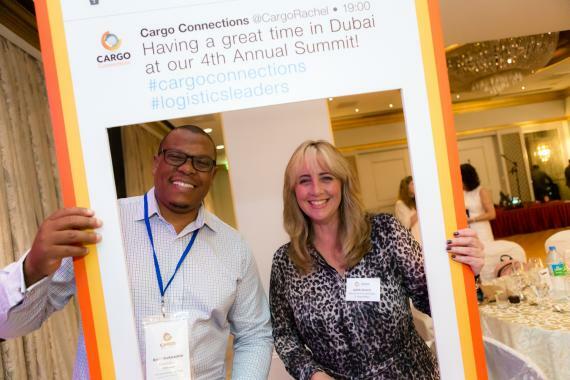 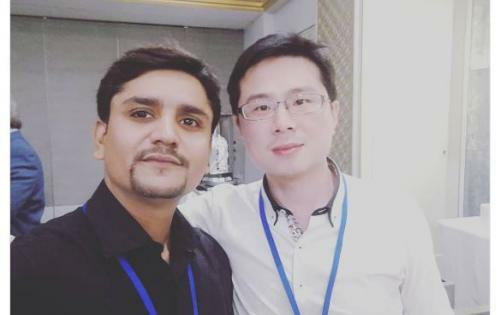 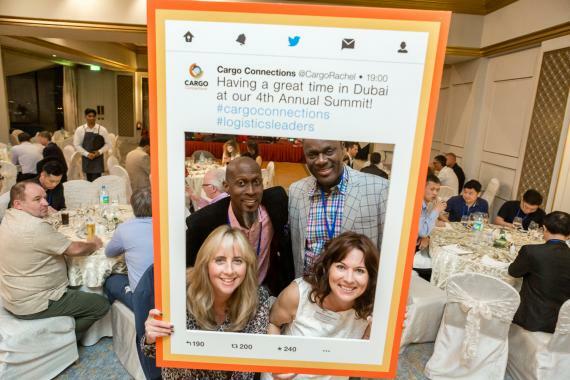 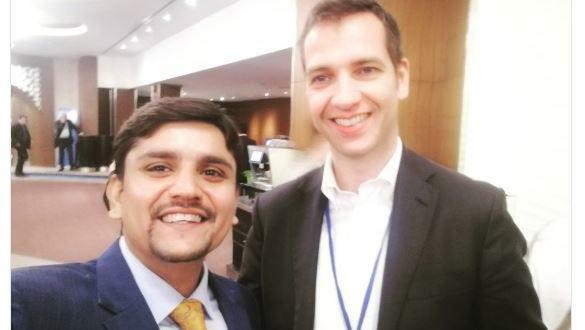 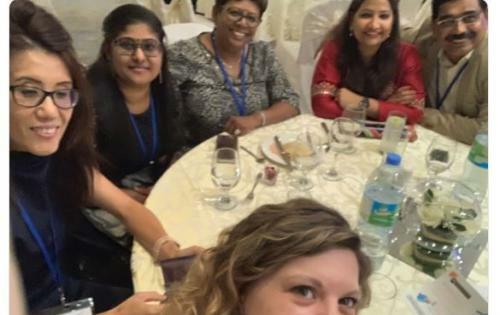 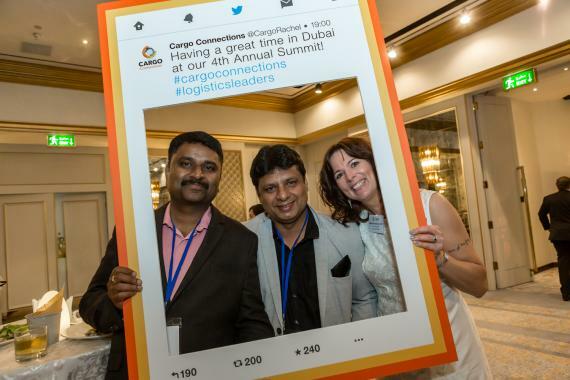 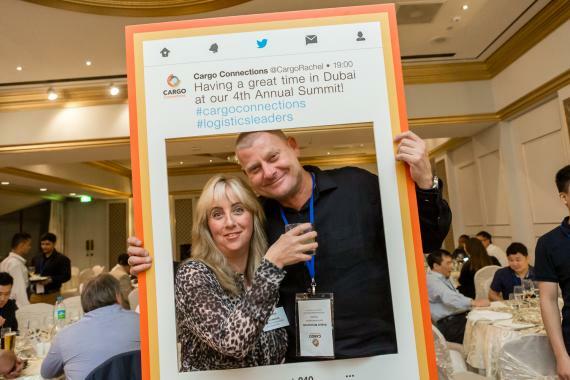 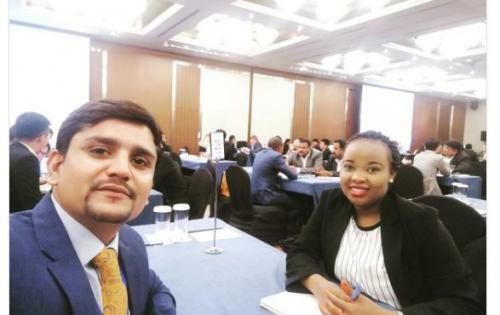 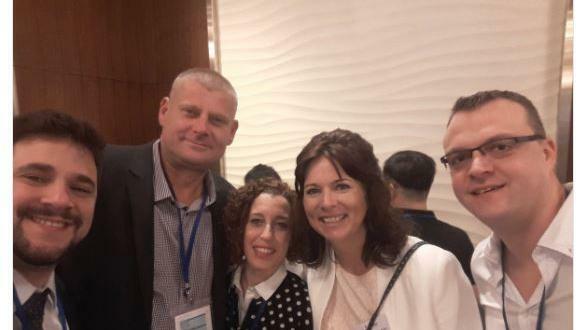 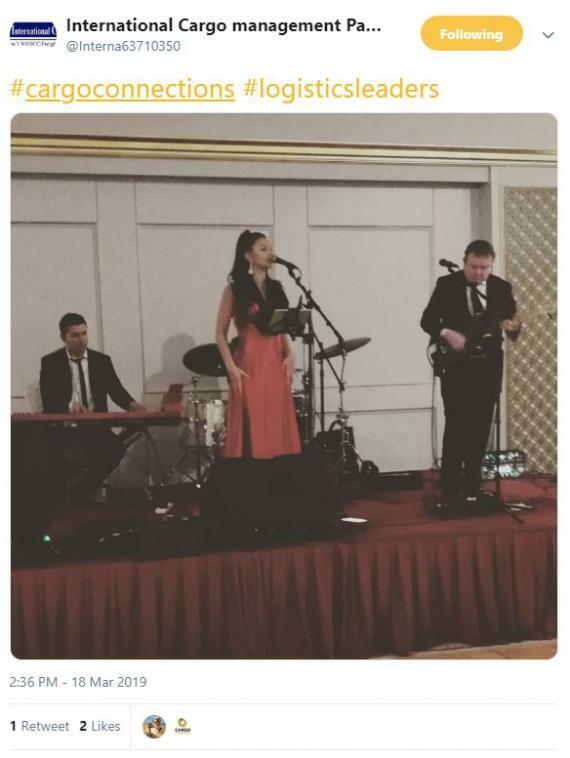 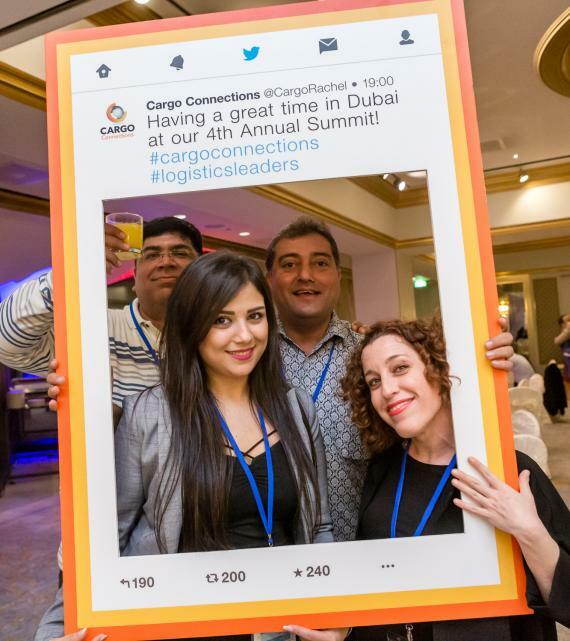 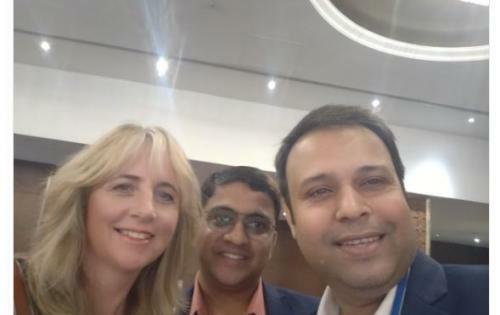 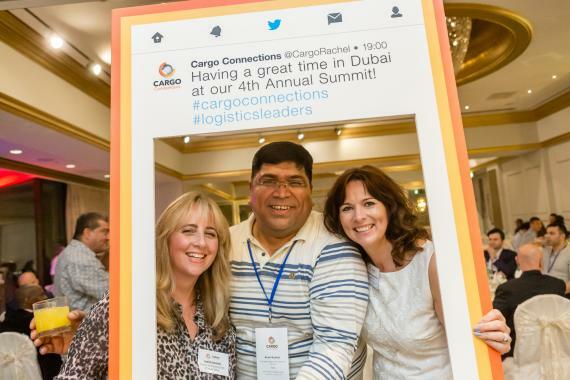 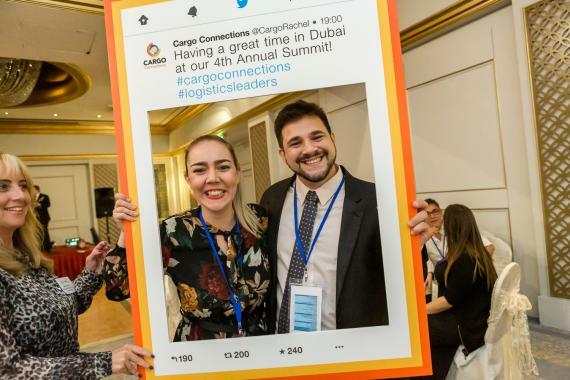 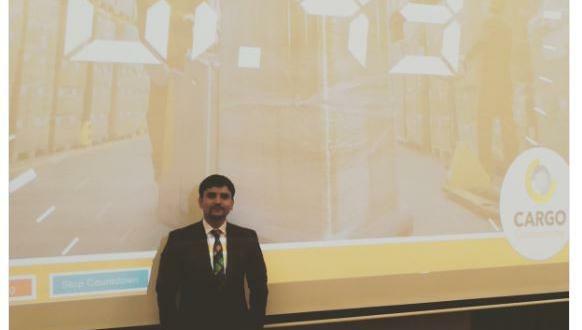 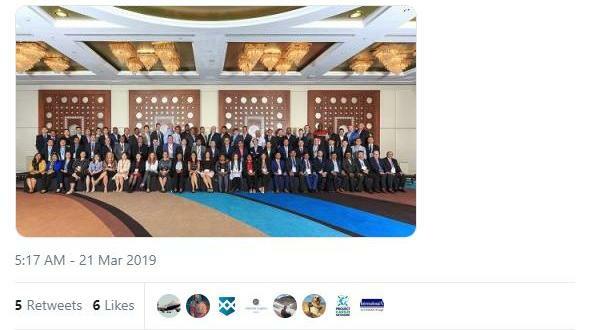 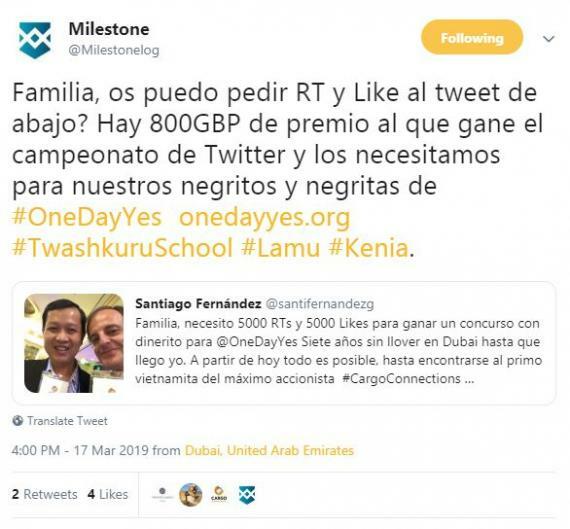 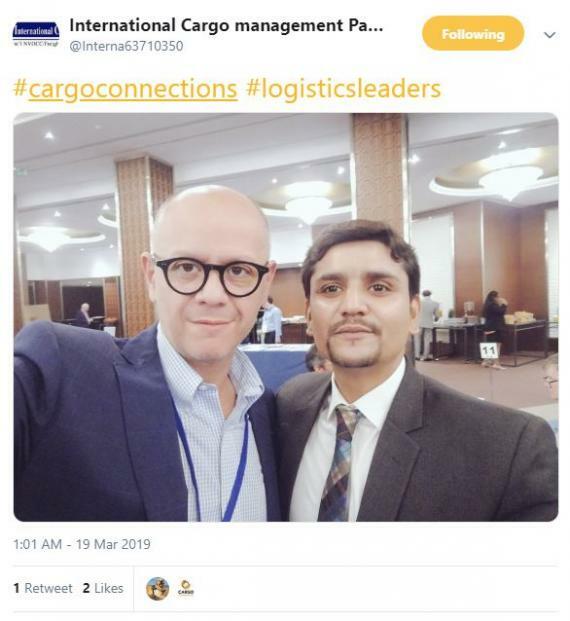 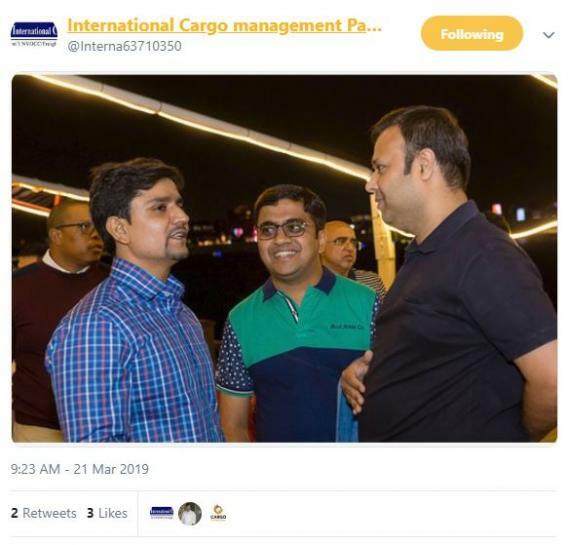 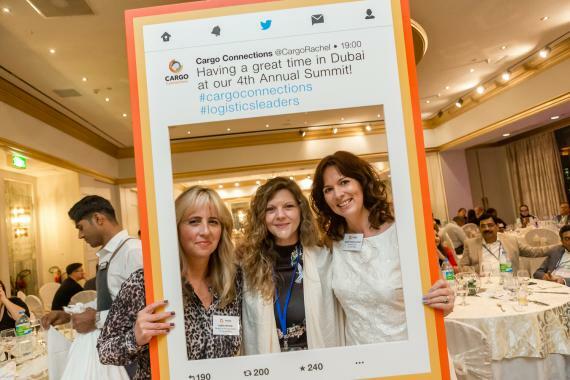 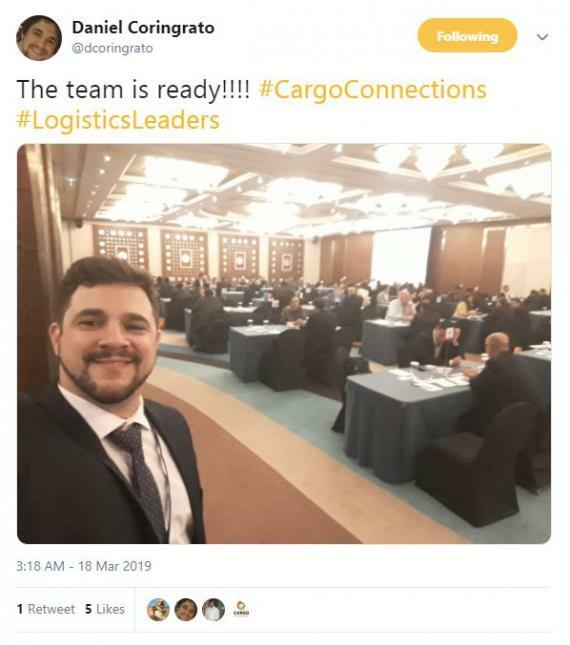 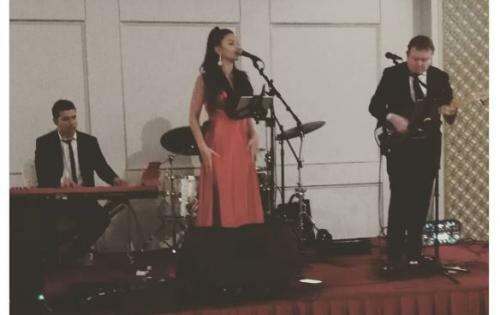 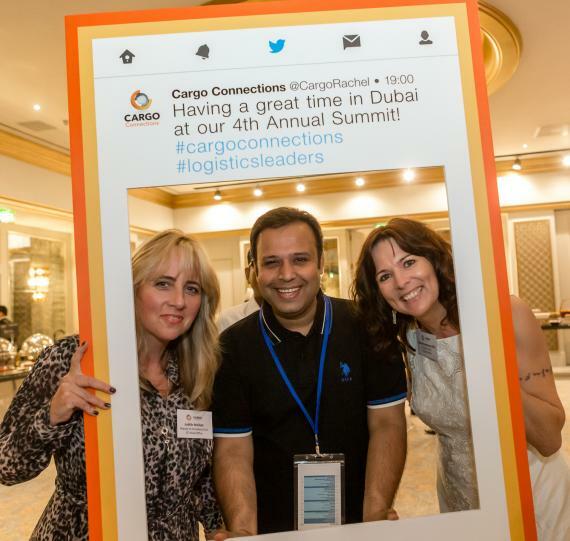 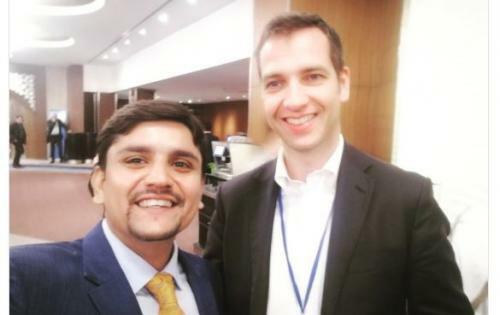 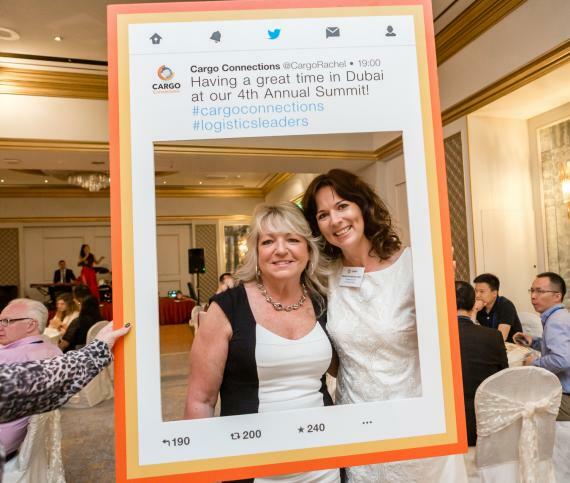 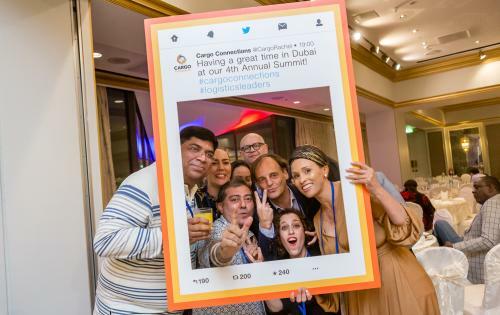 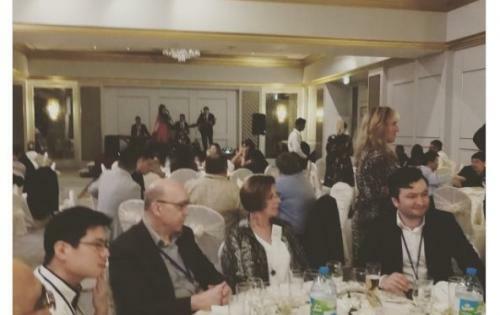 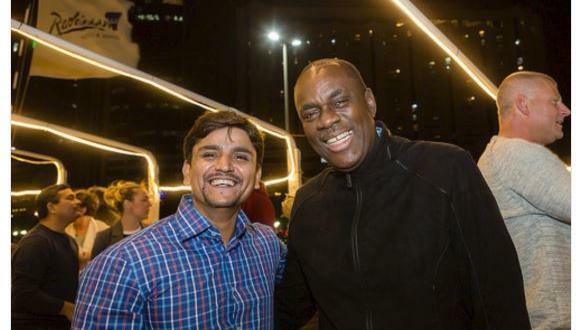 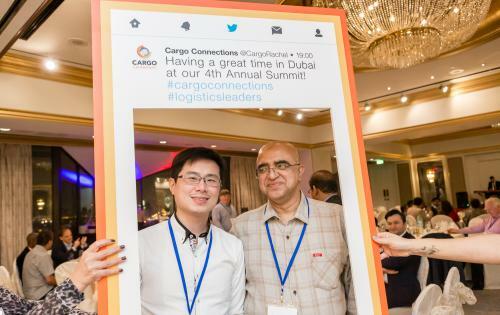 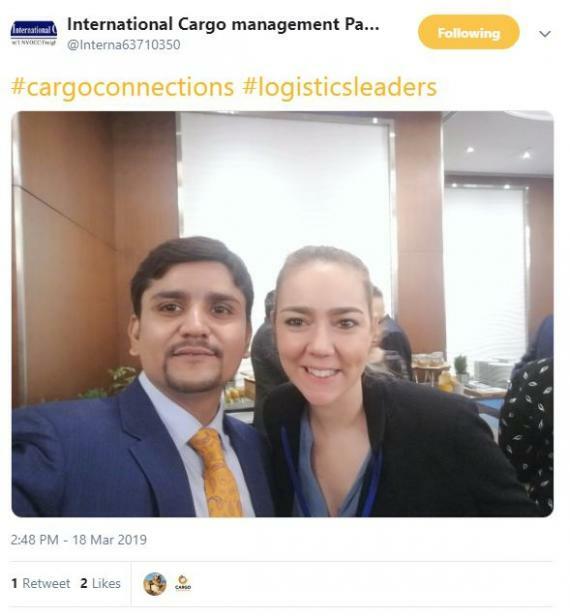 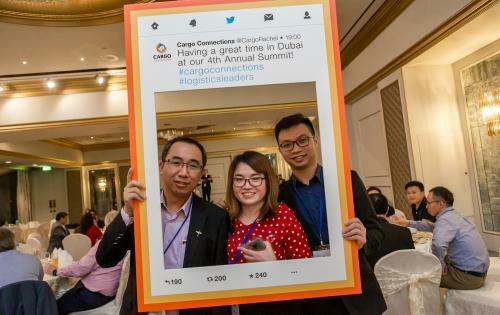 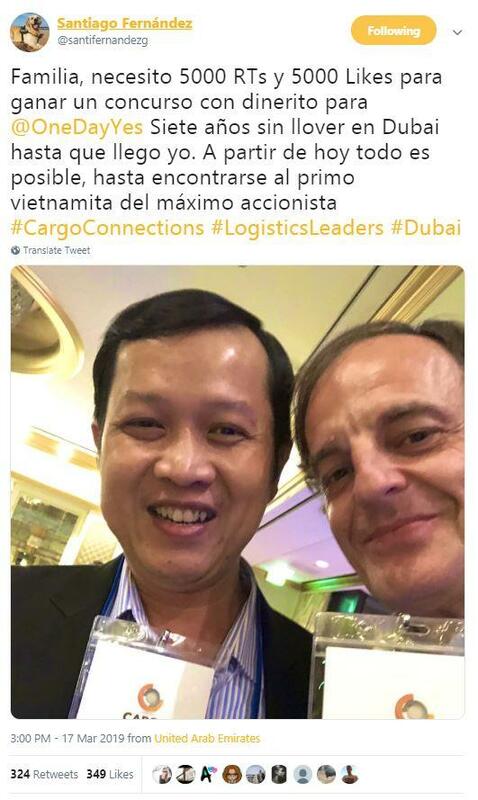 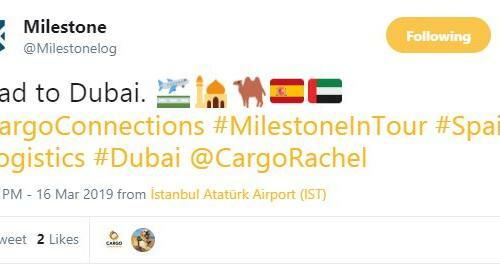 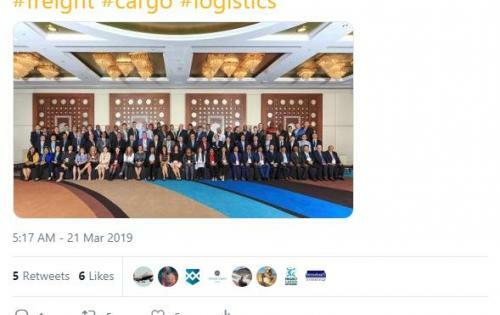 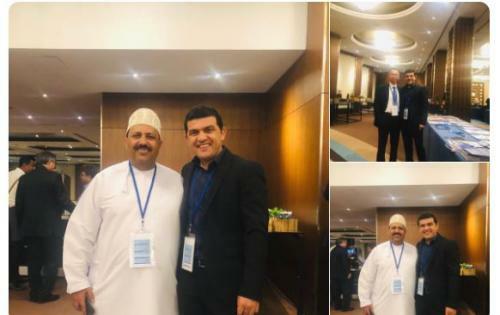 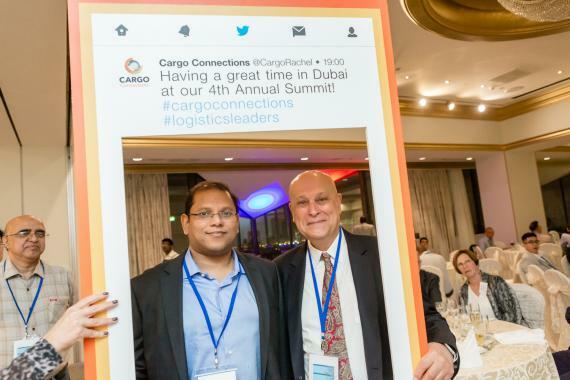 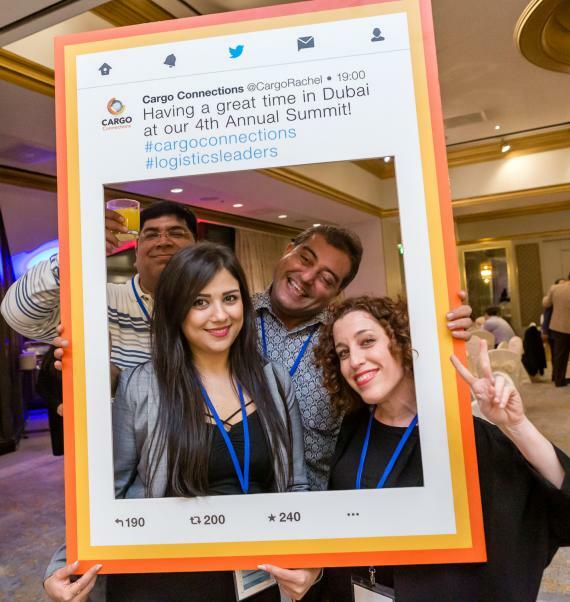 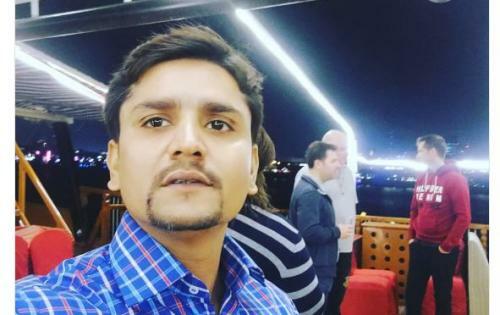 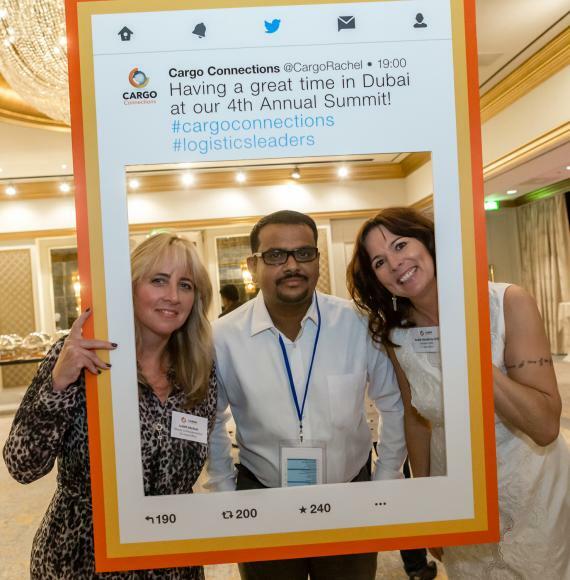 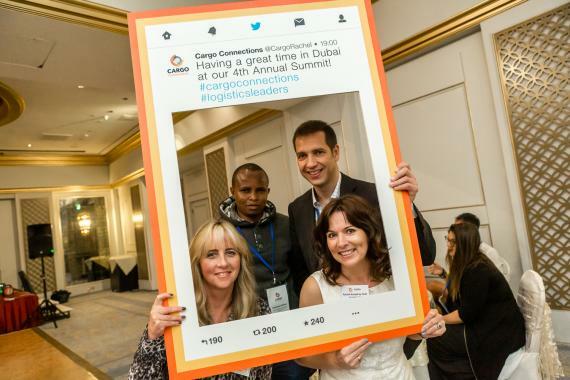 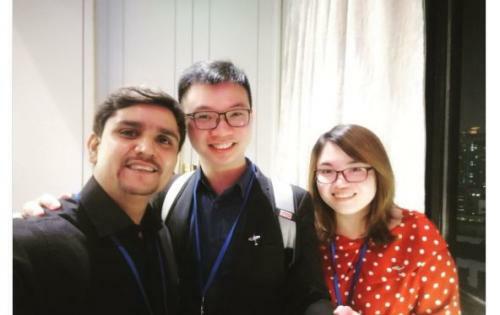 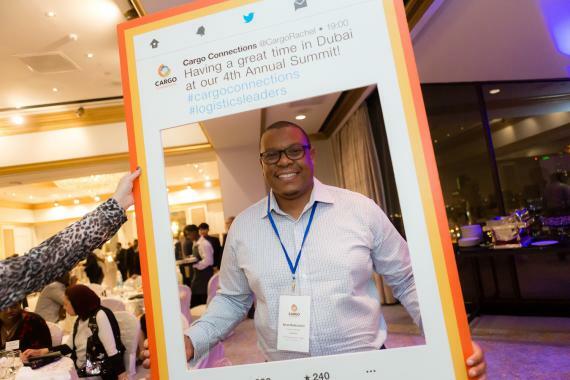 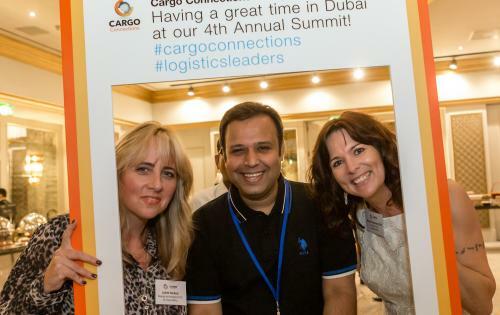 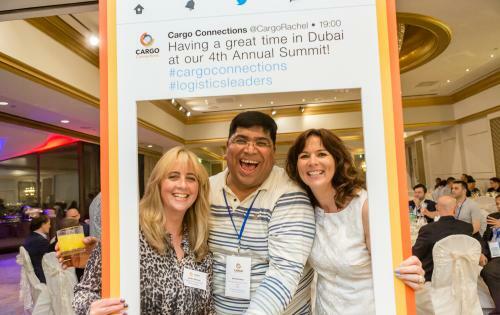 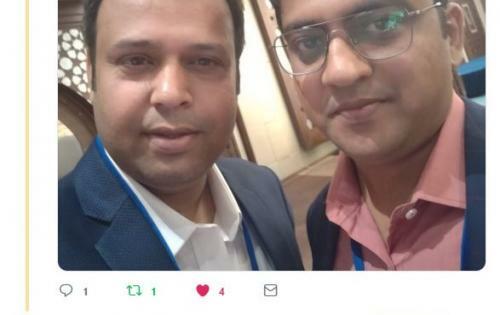 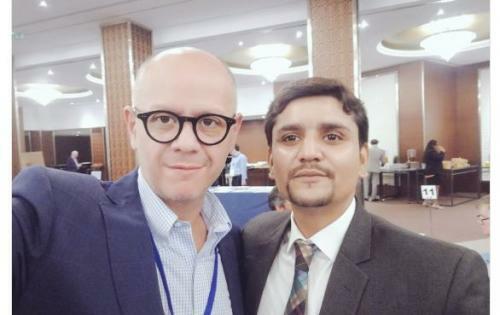 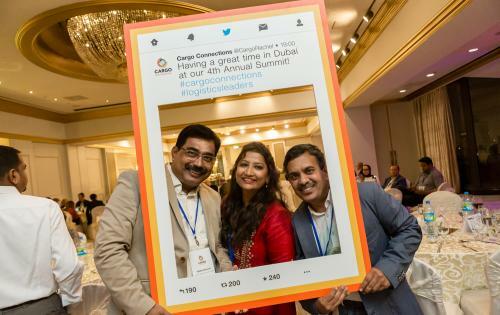 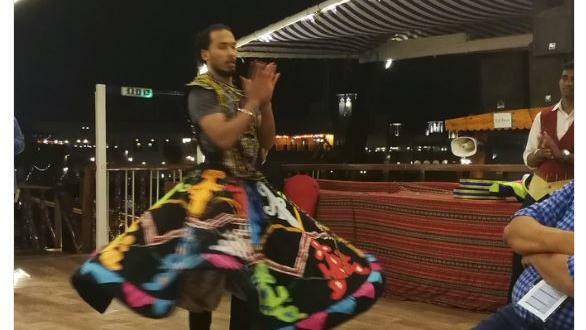 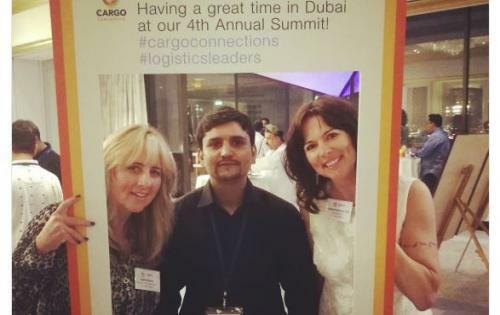 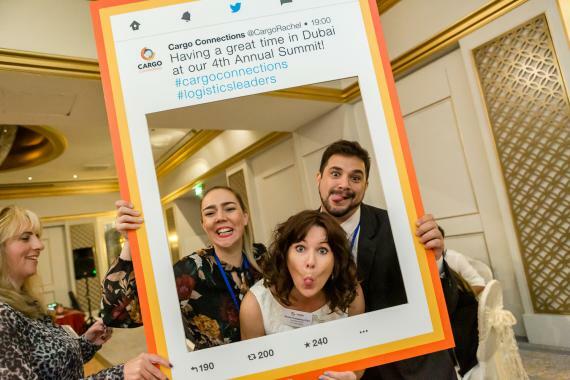 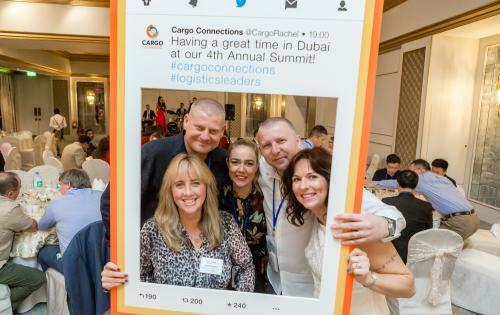 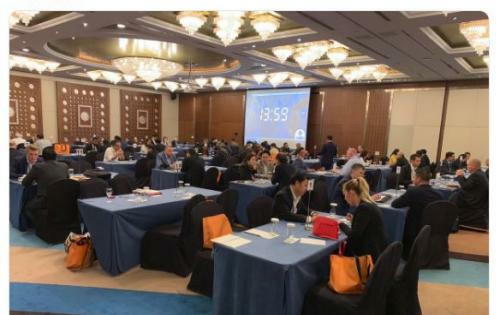 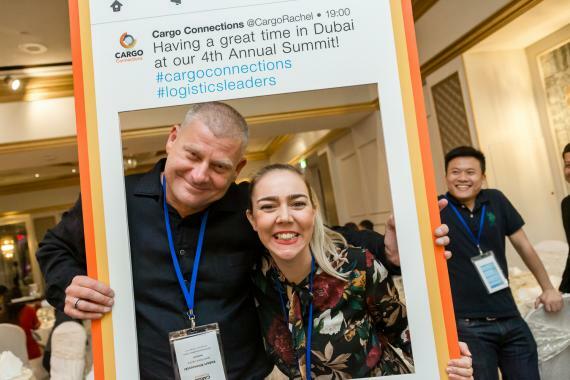 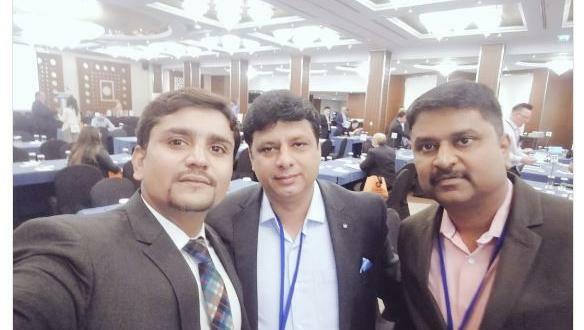 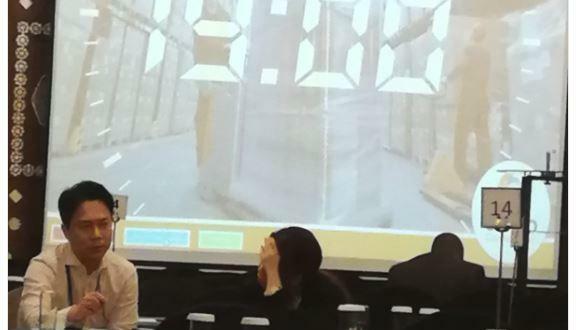 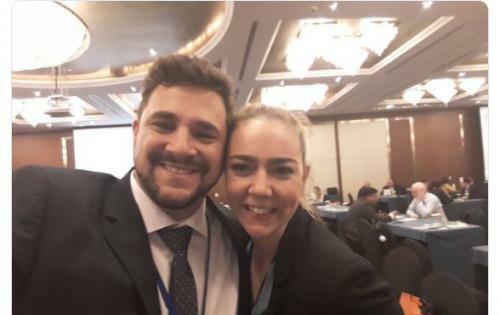 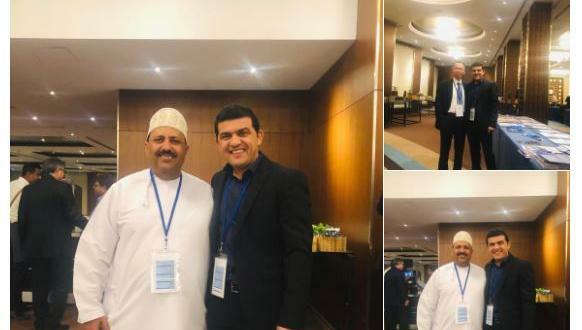 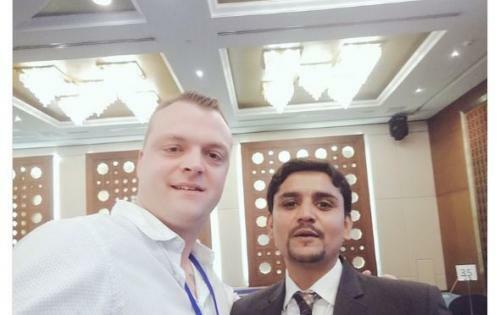 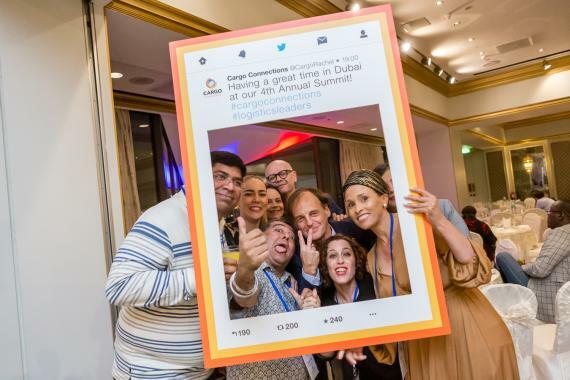 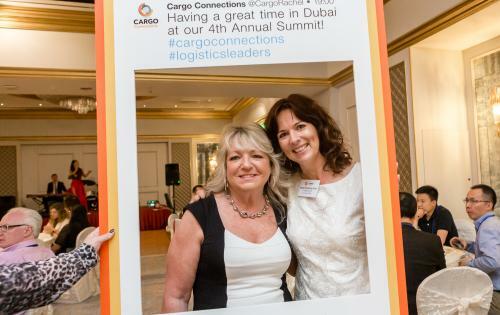 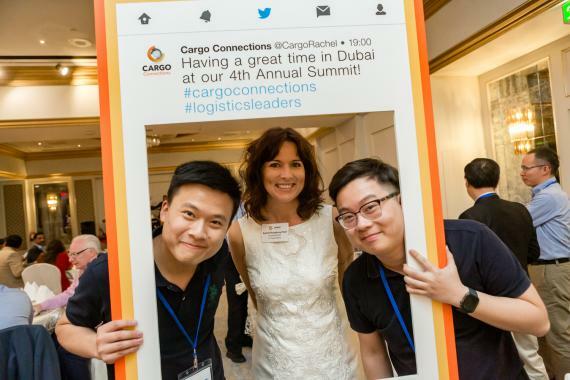 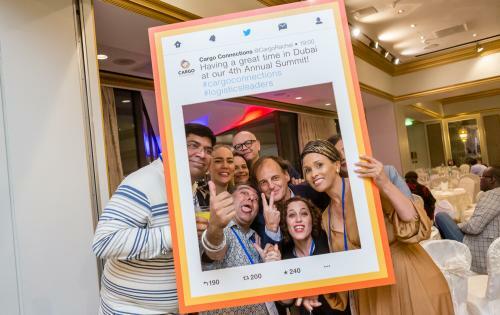 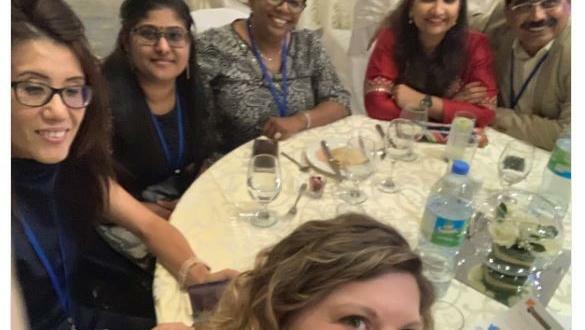 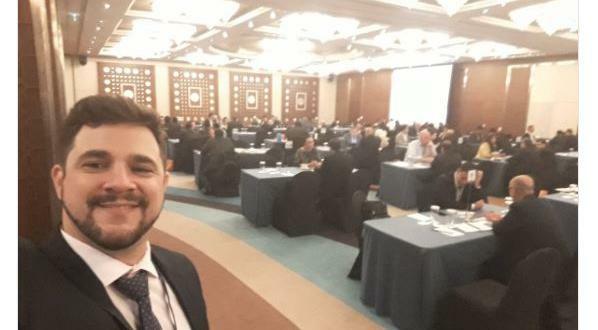 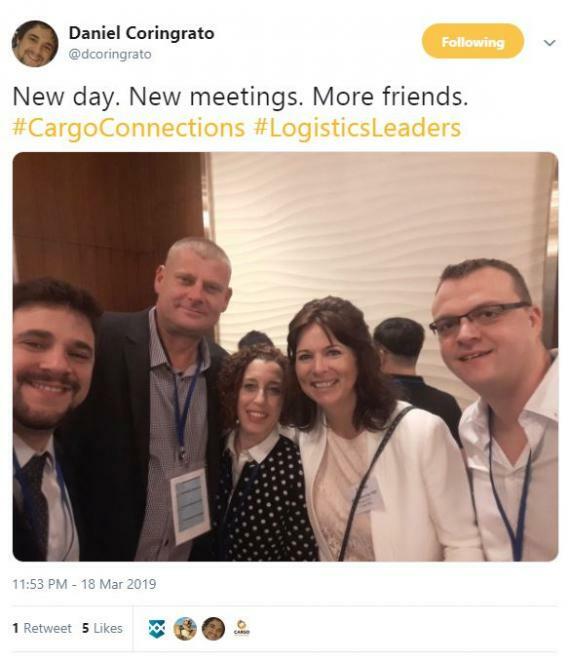 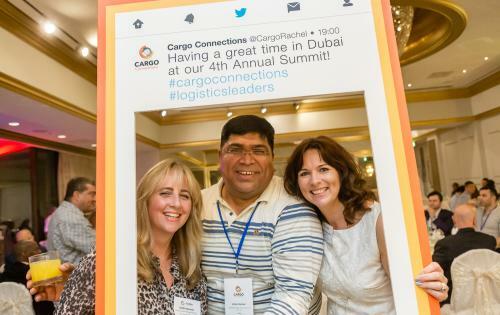 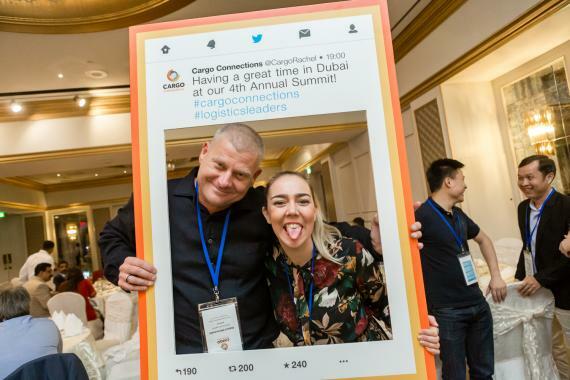 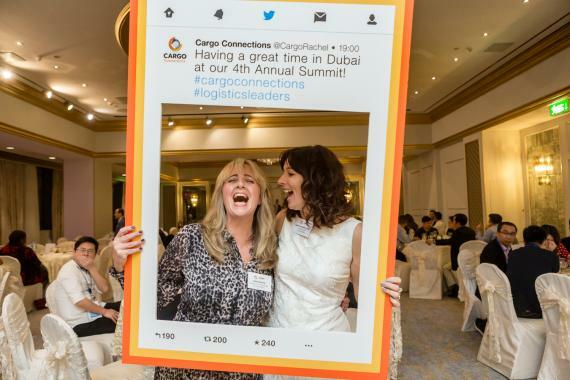 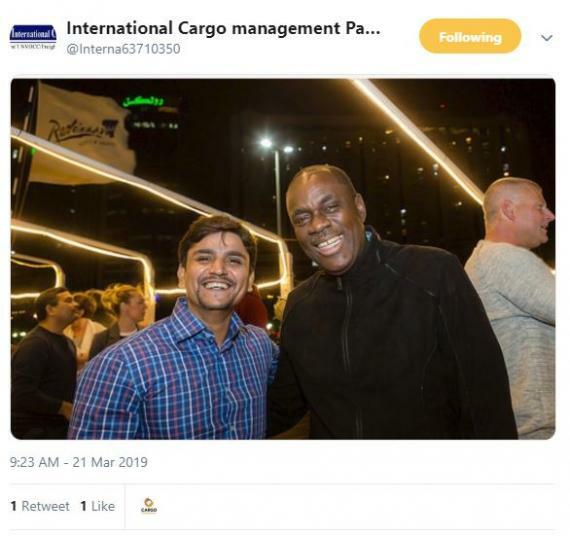 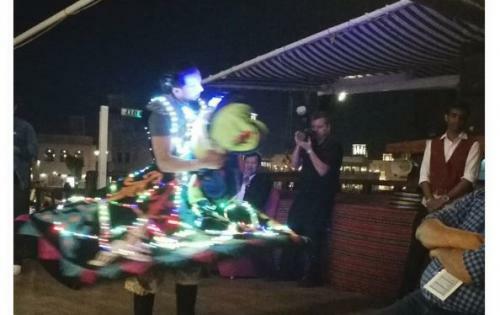 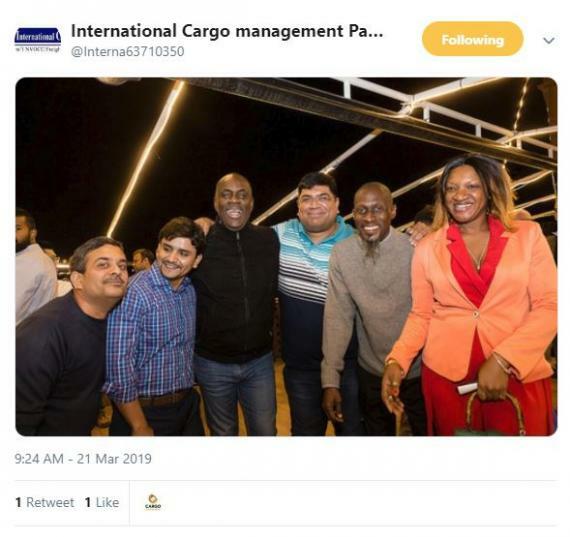 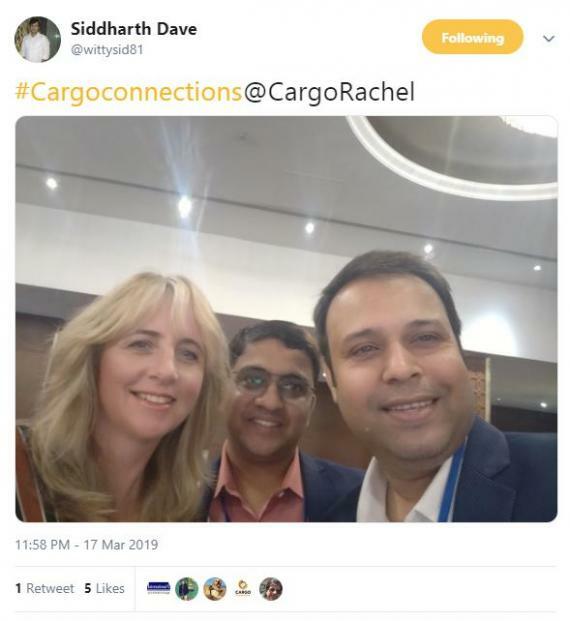 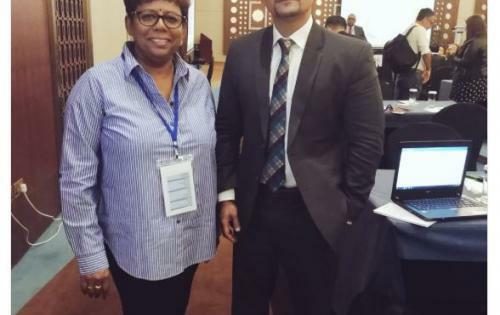 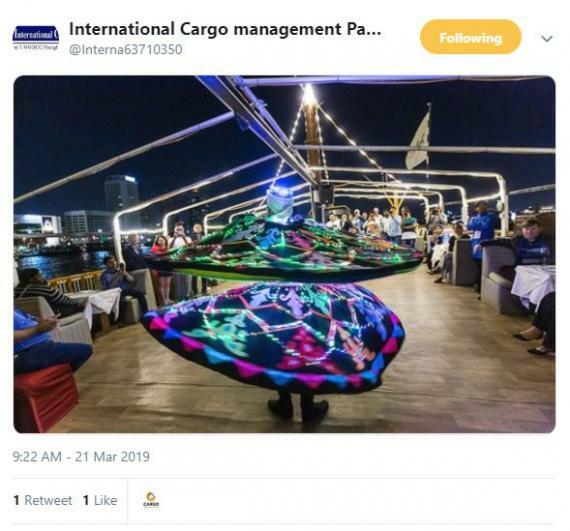 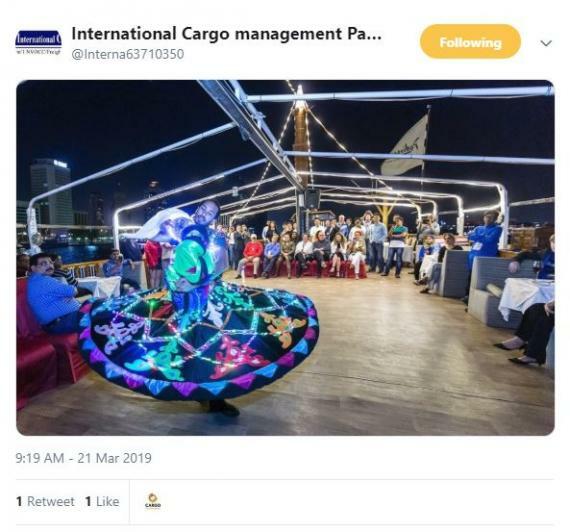 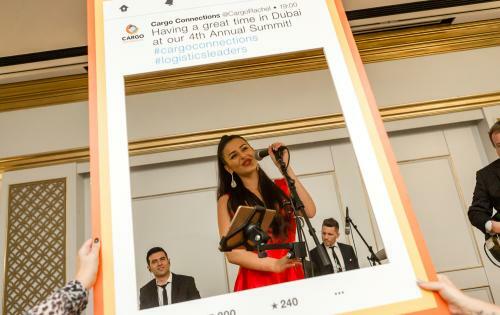 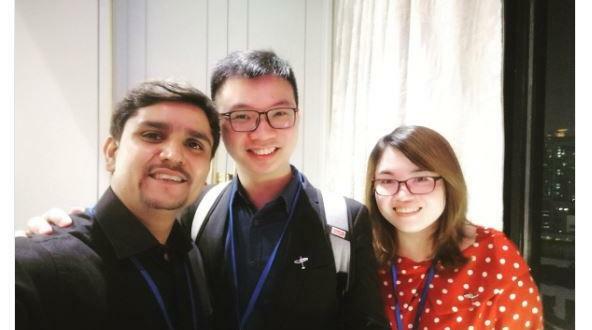 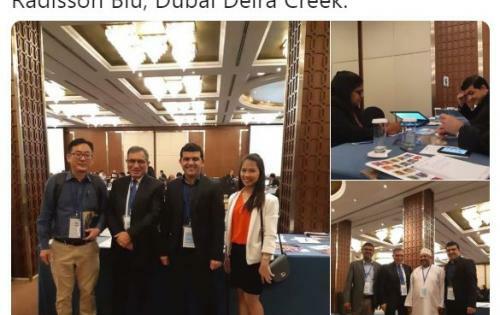 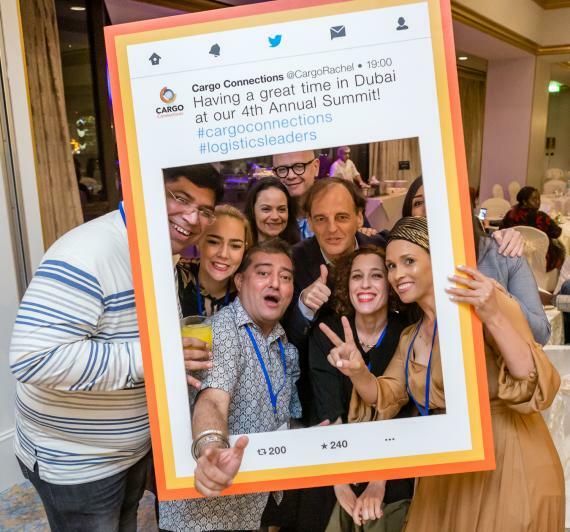 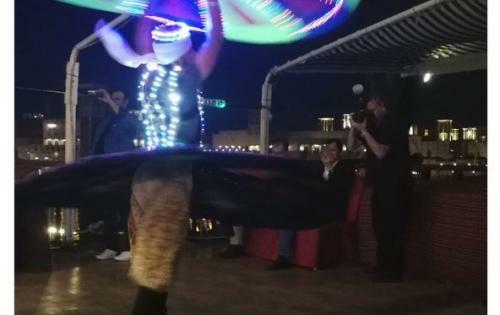 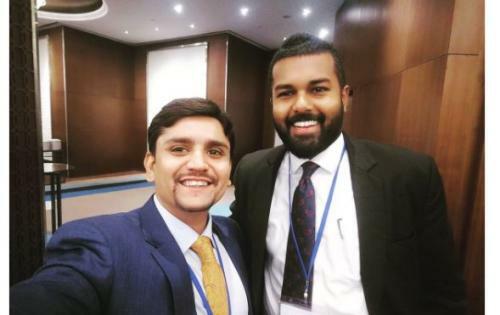 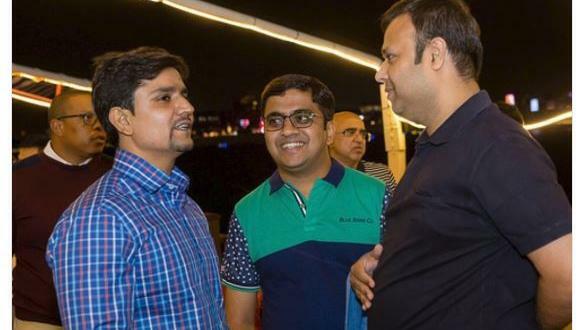 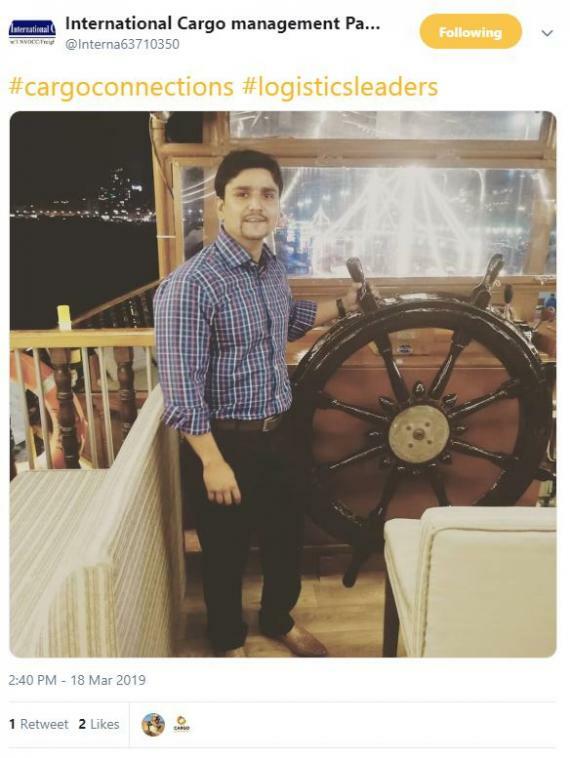 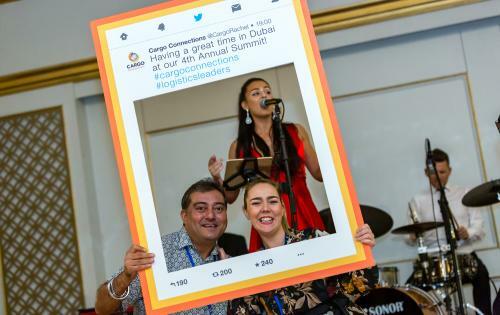 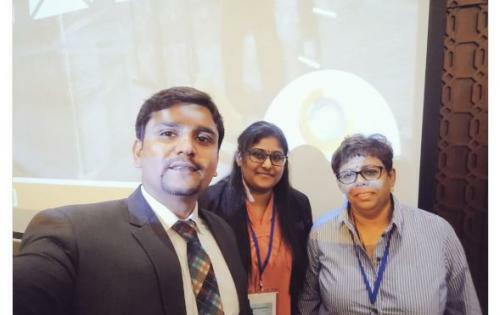 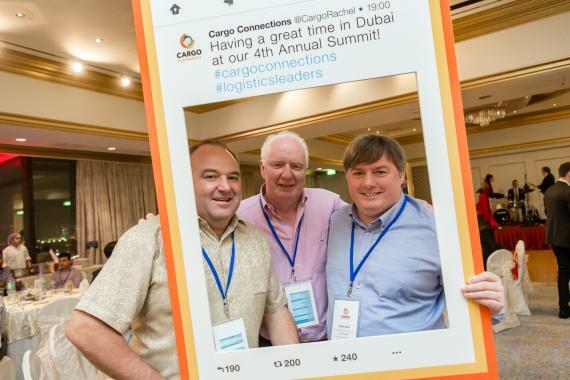 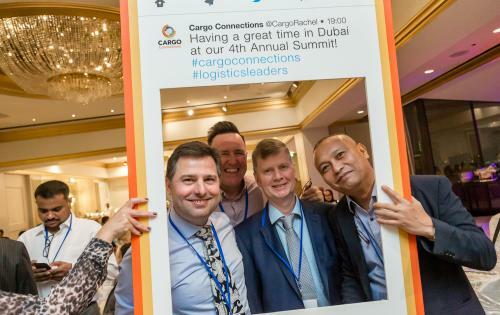 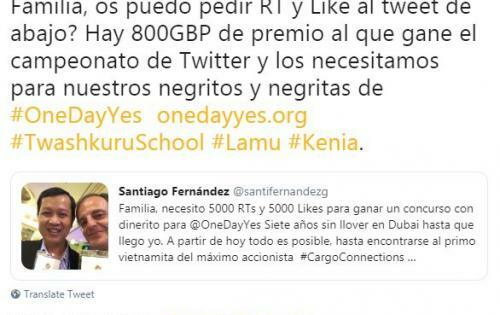 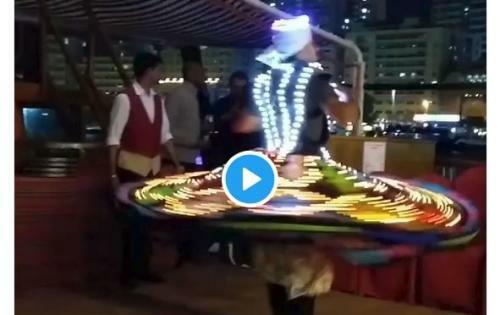 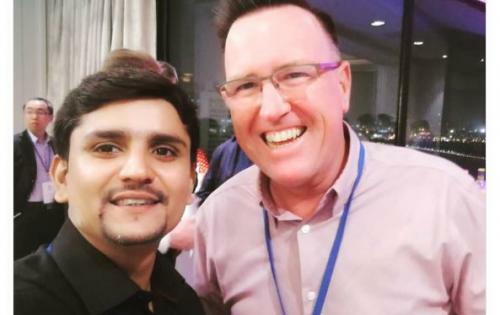 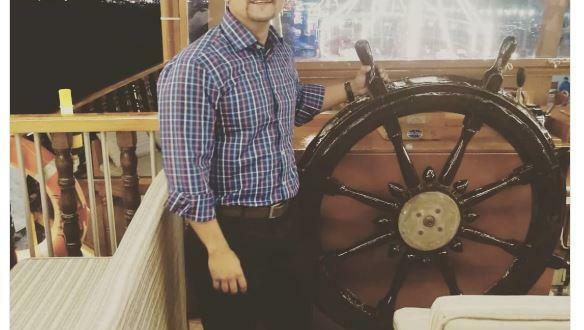 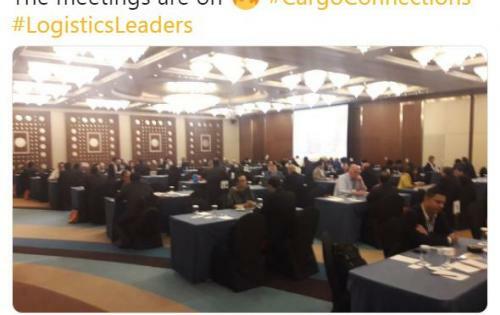 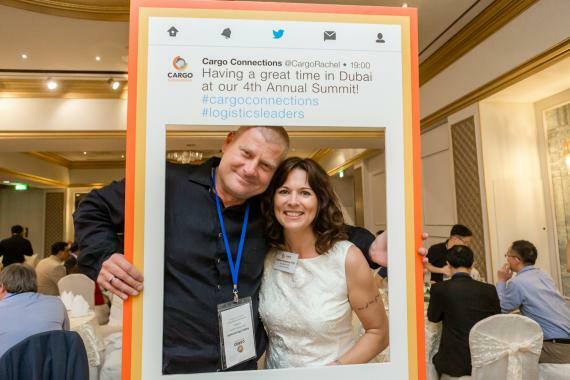 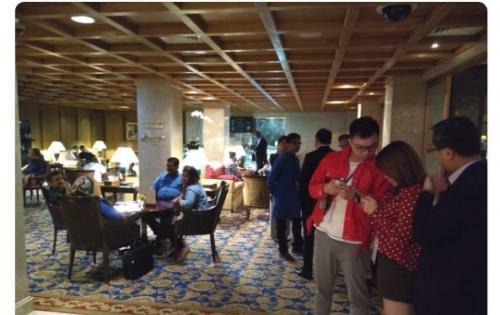 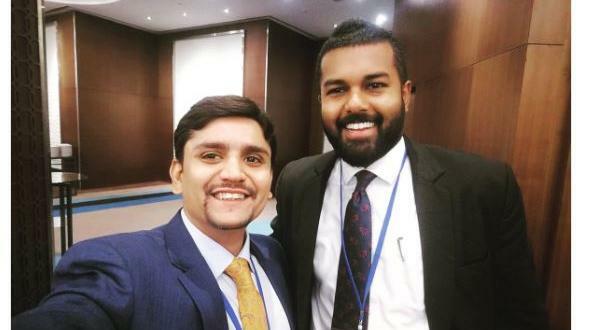 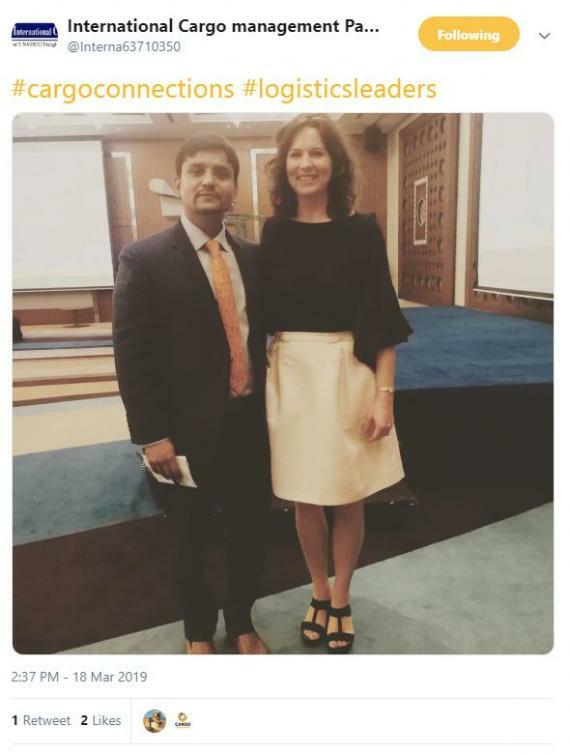 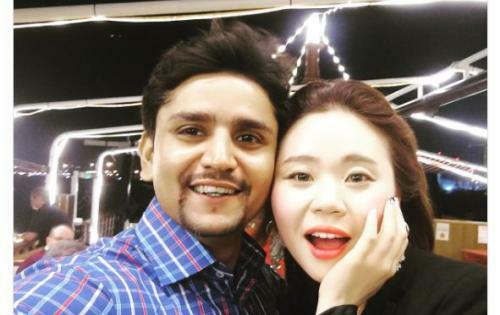 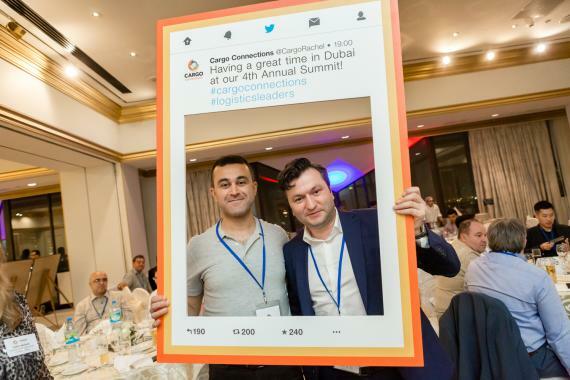 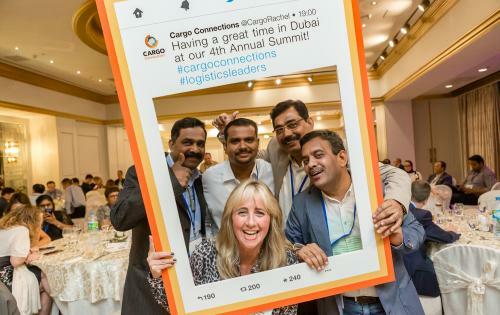 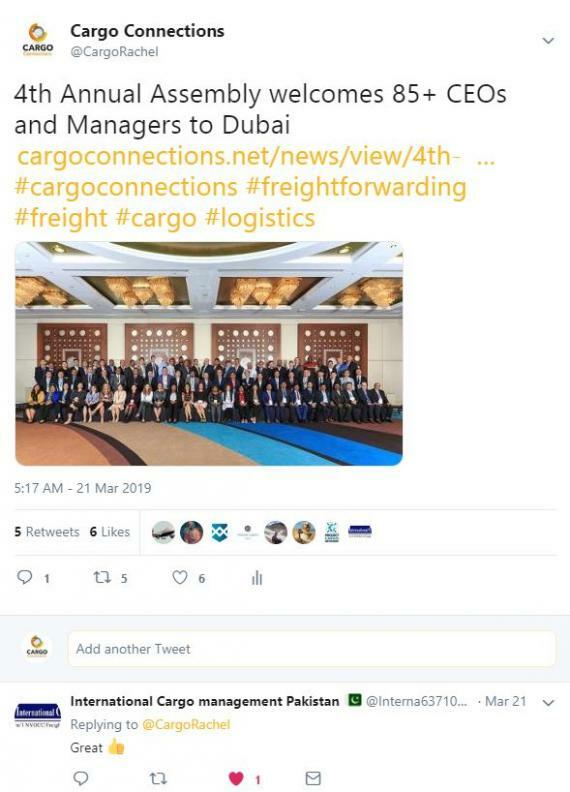 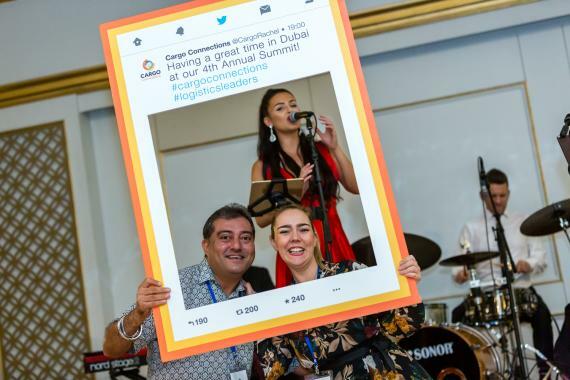 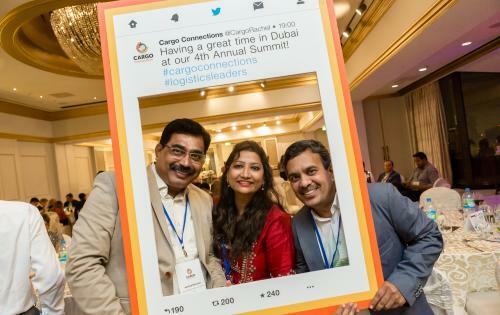 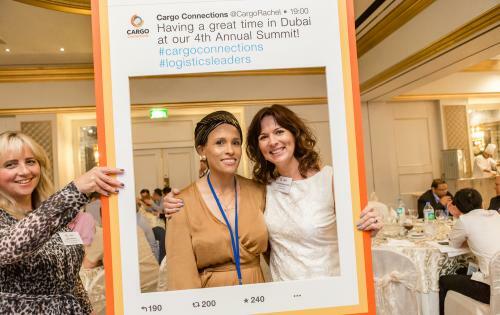 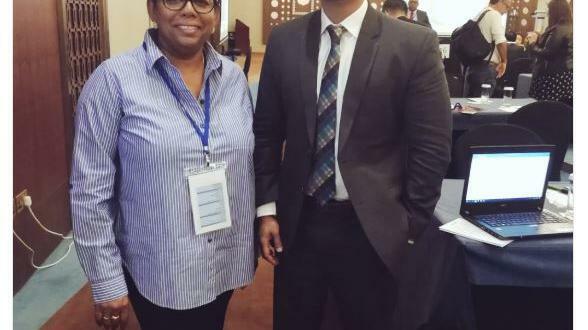 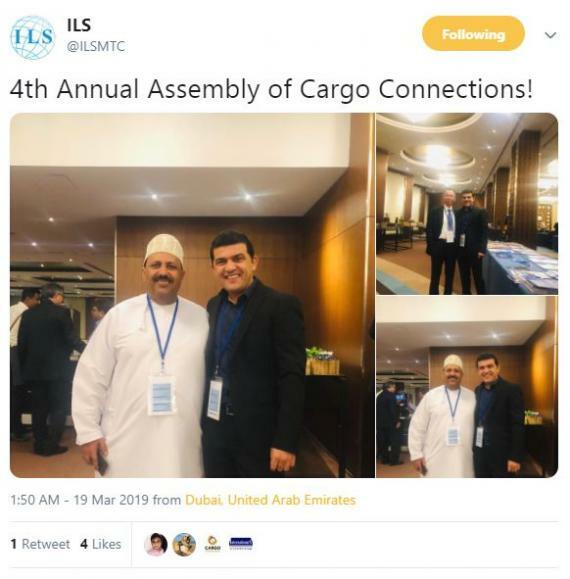 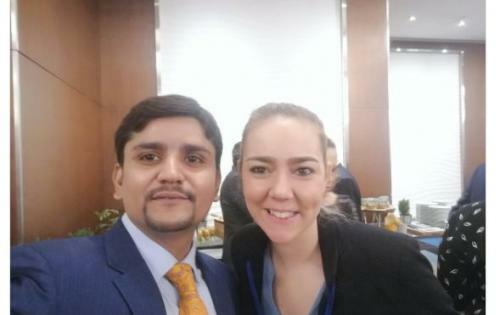 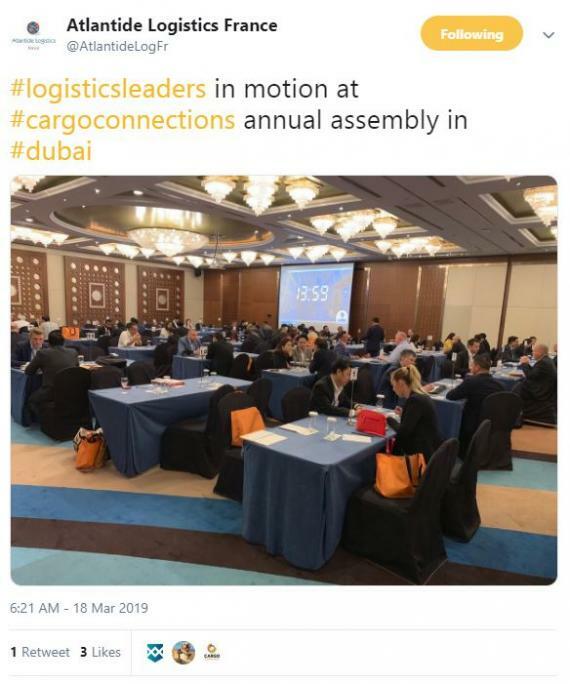 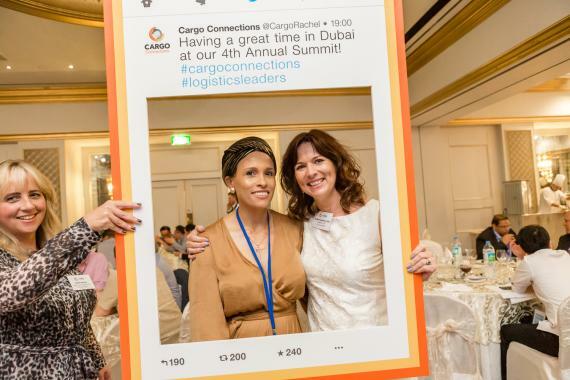 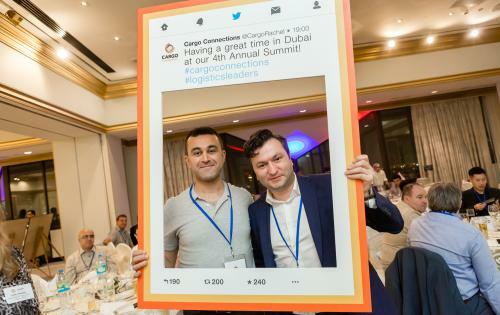 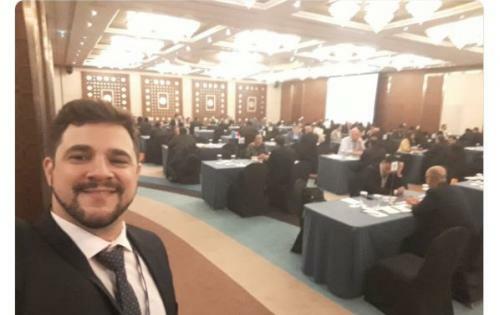 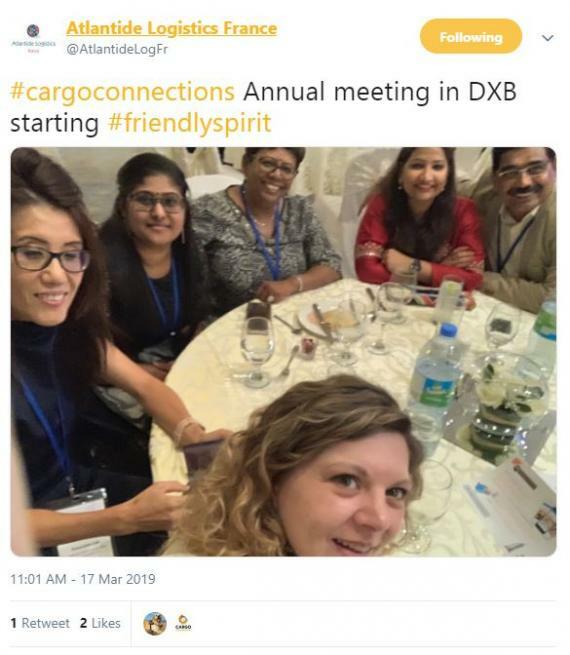 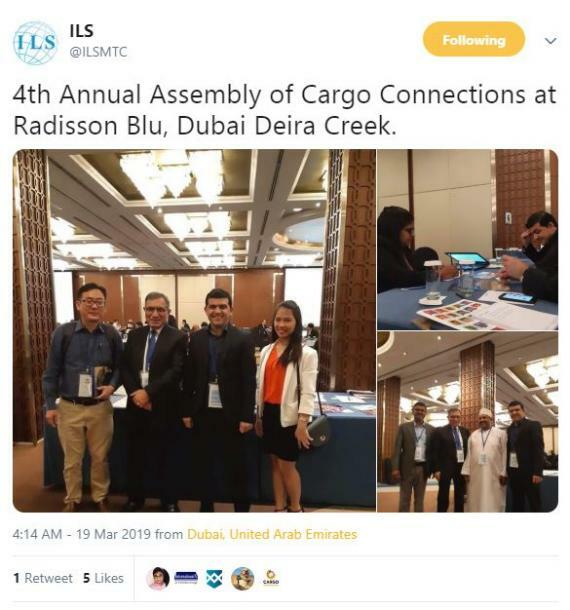 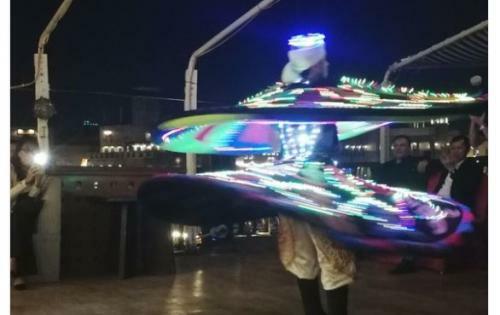 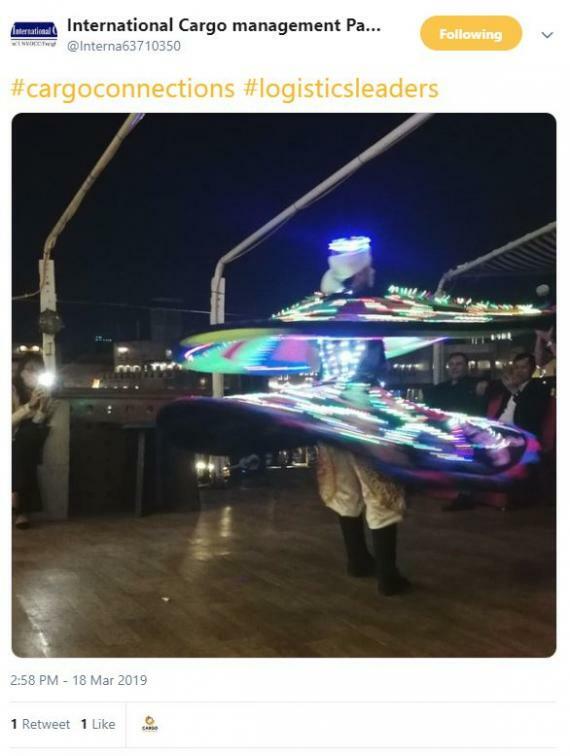 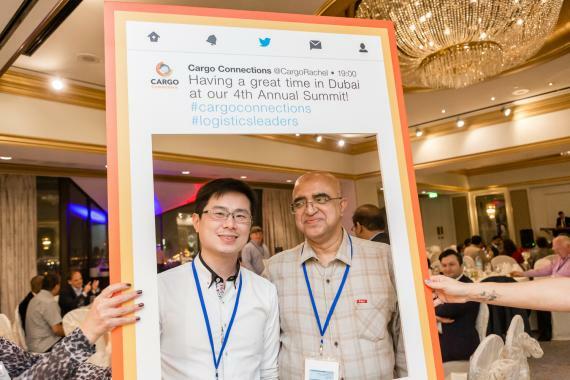 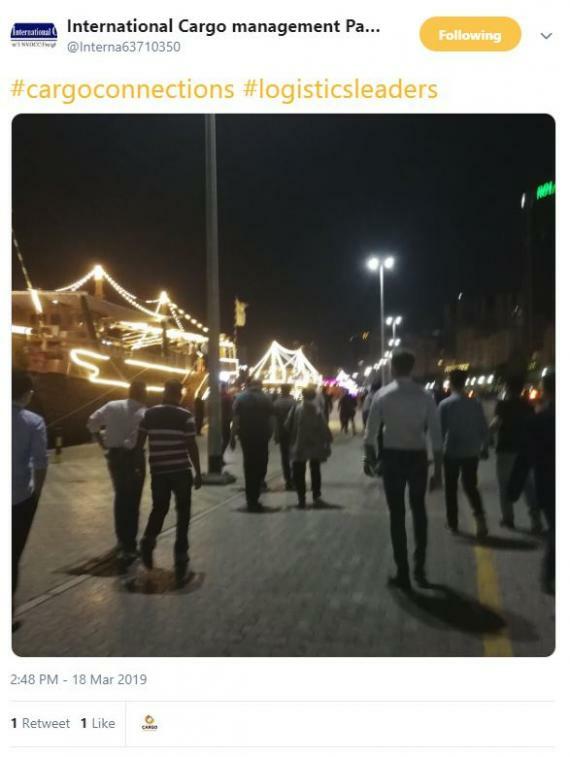 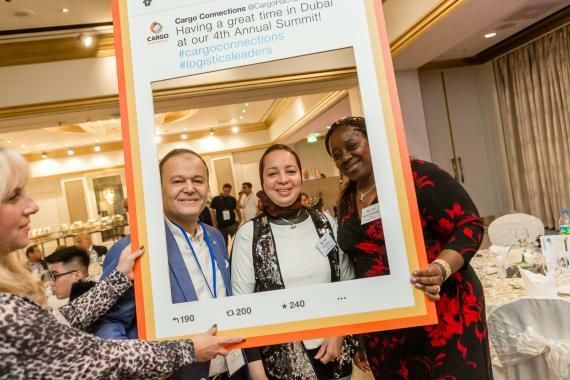 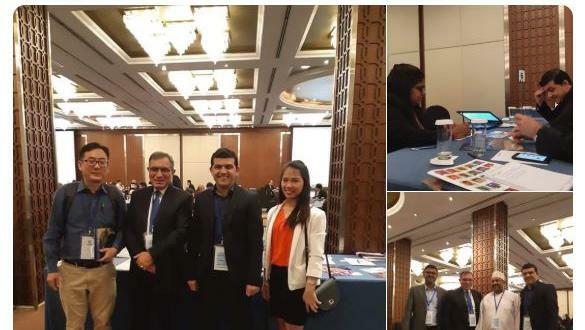 During the Cargo Connections 2019 Annual Assembly in Dubai, a fun Twitter Competition was held to get the word out into the industry about the fantastic meeting! 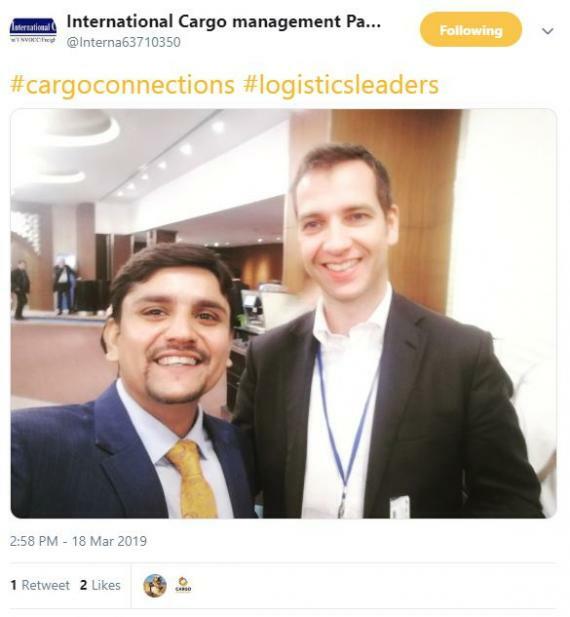 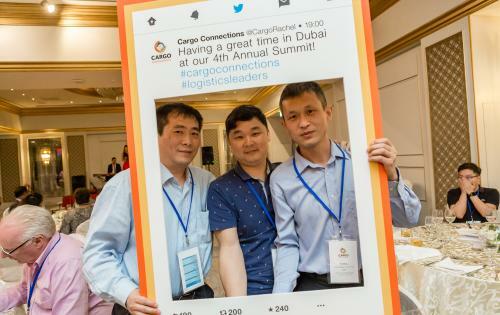 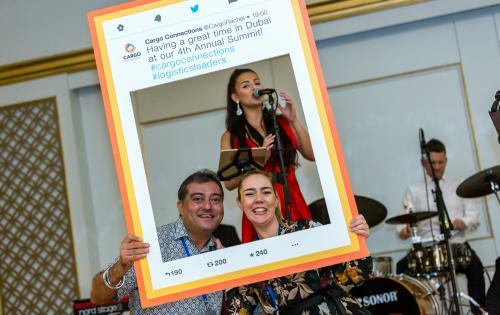 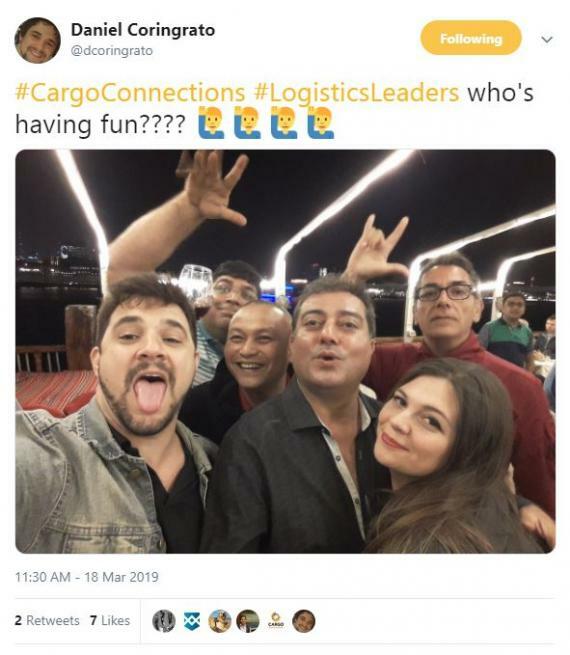 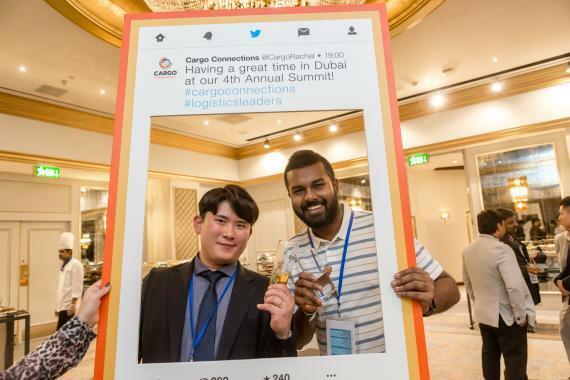 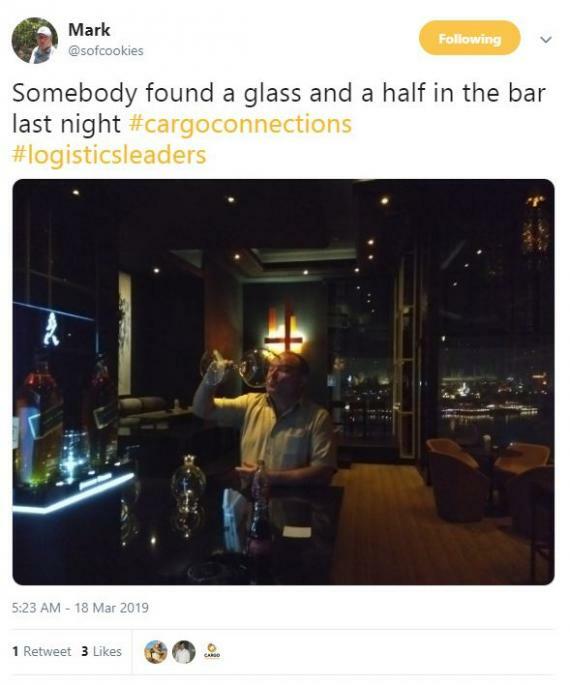 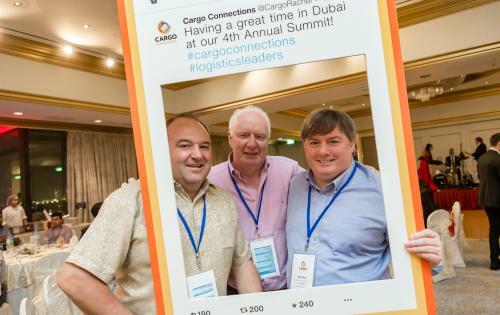 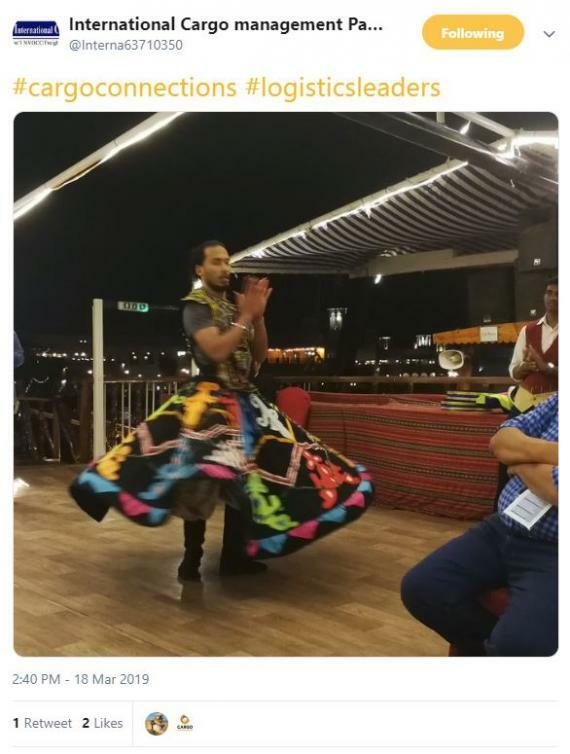 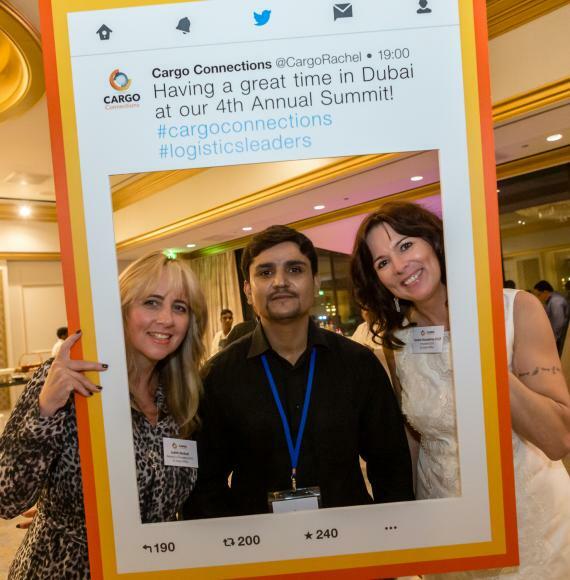 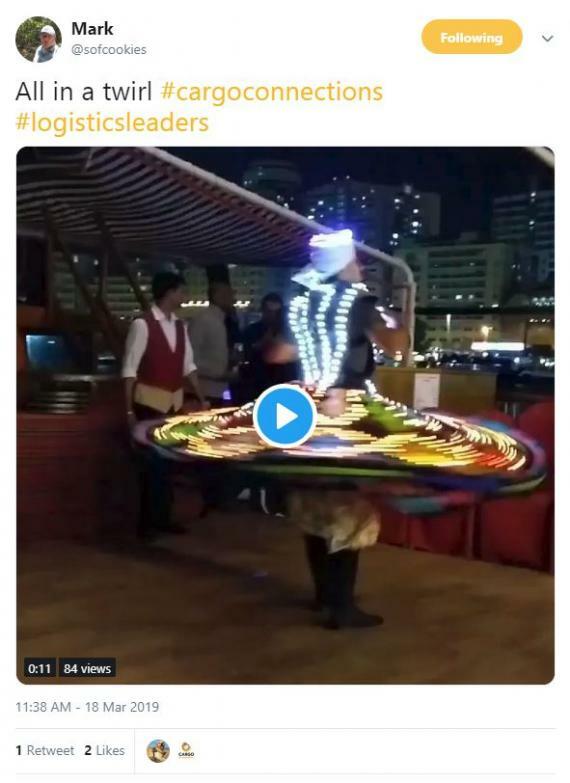 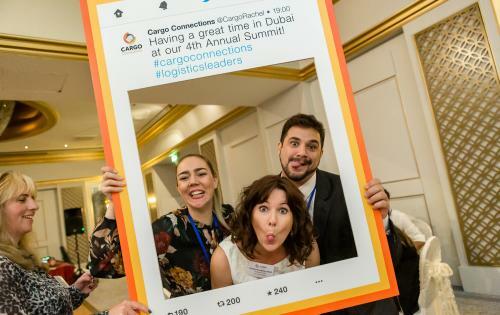 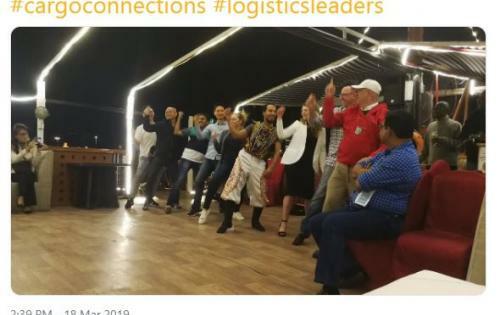 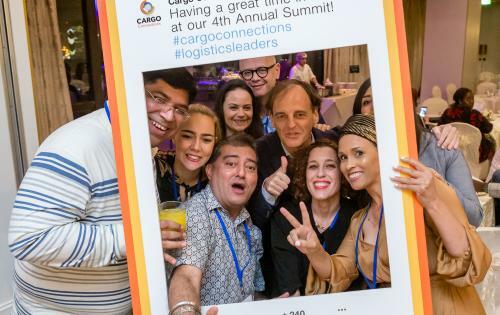 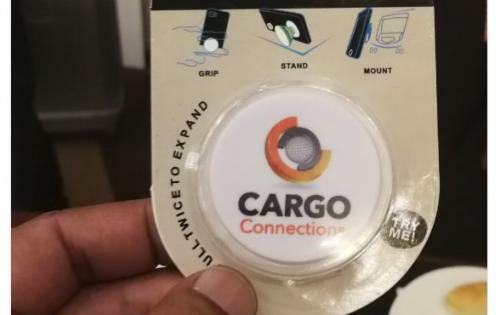 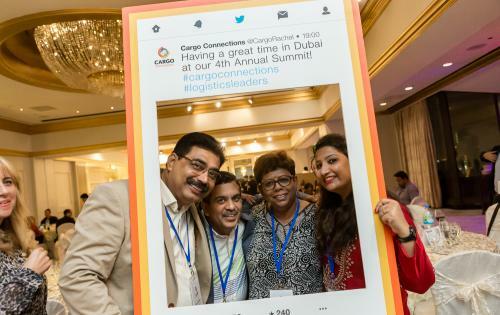 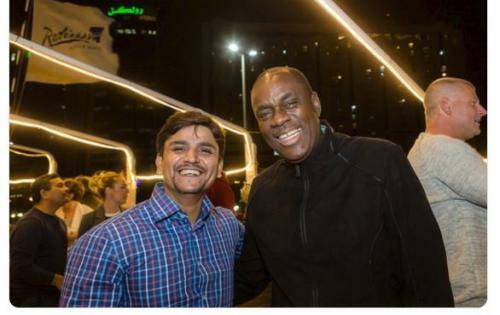 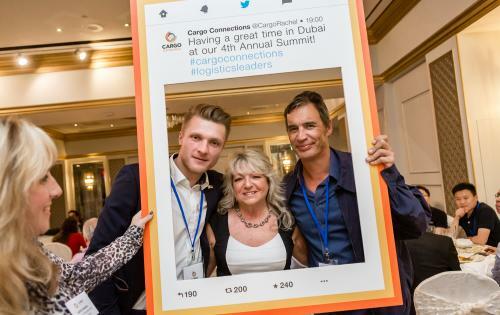 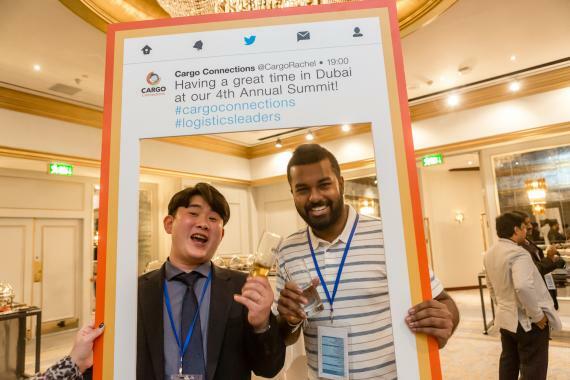 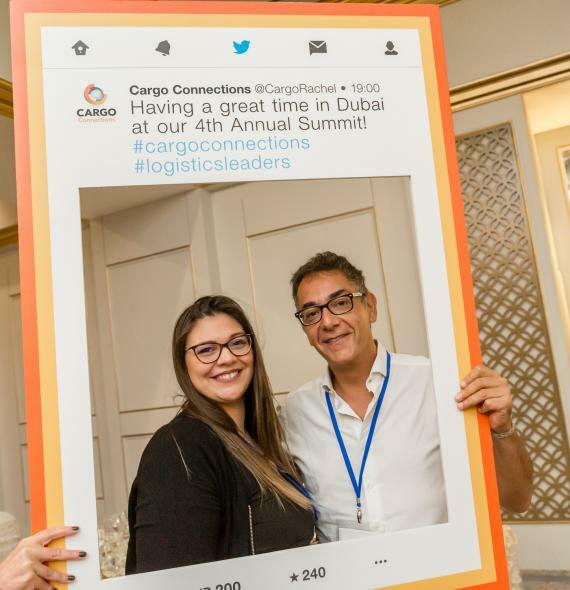 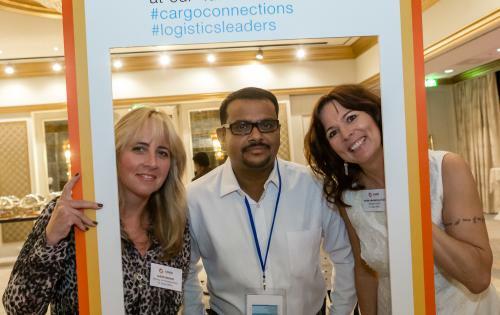 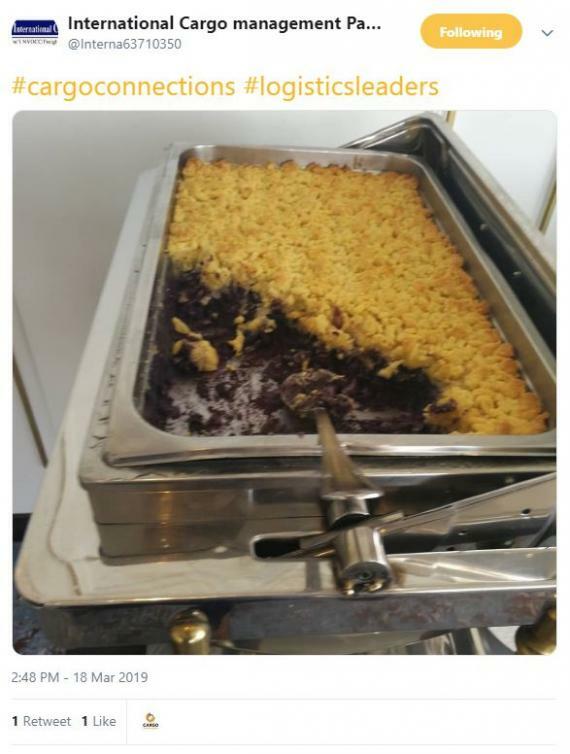 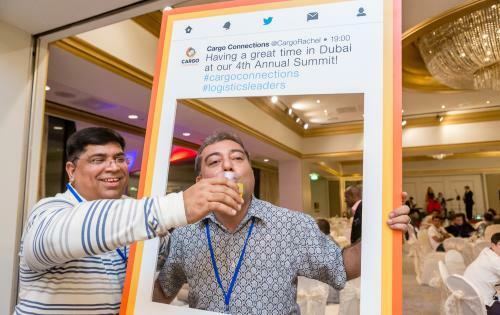 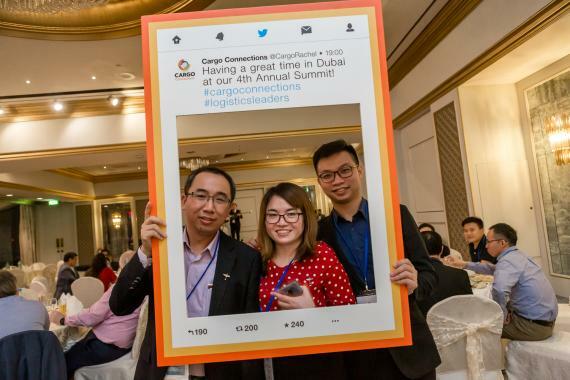 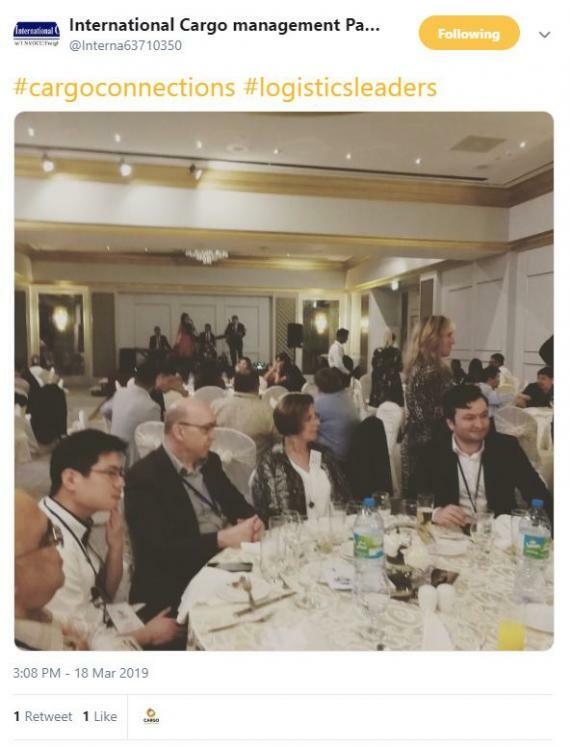 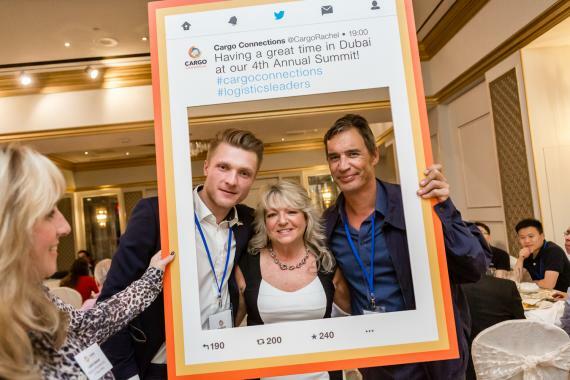 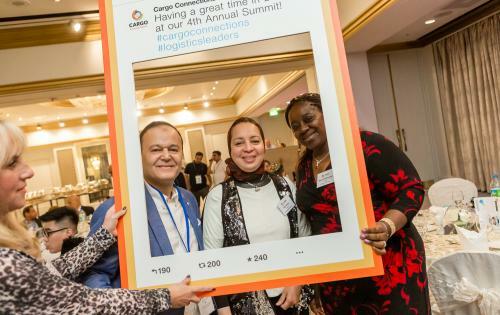 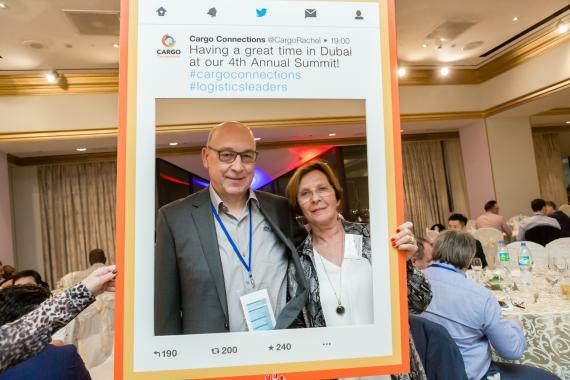 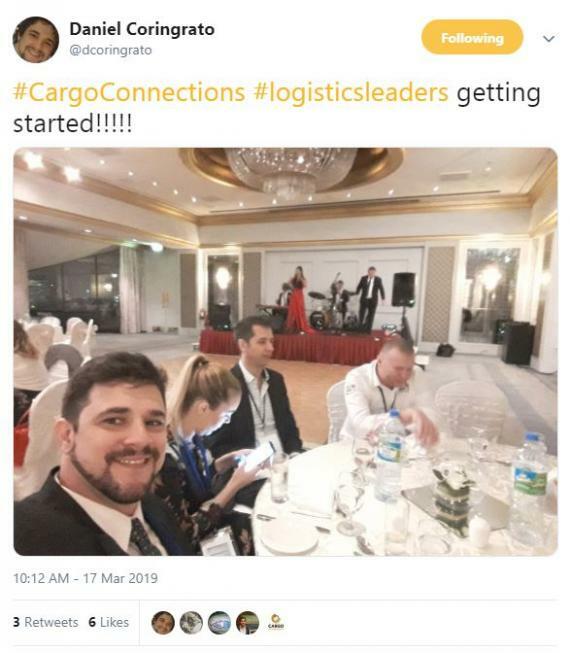 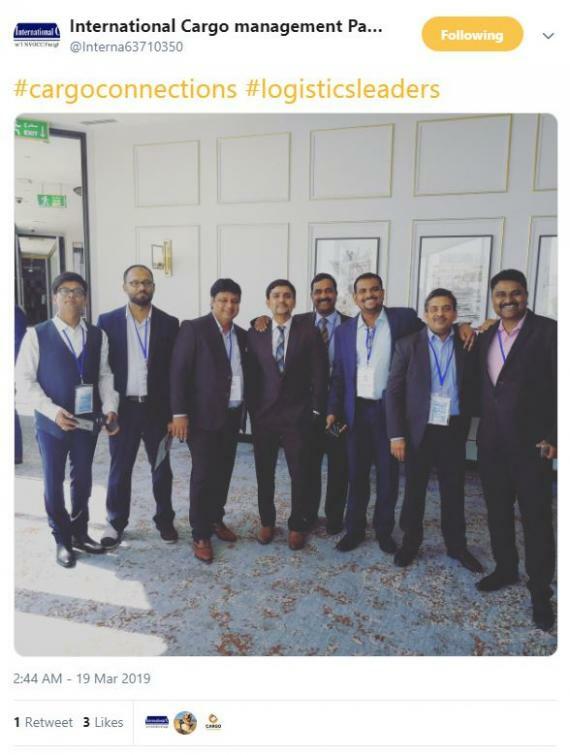 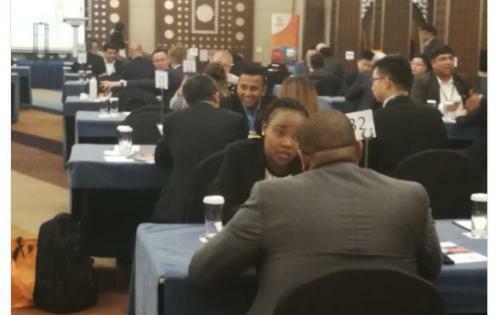 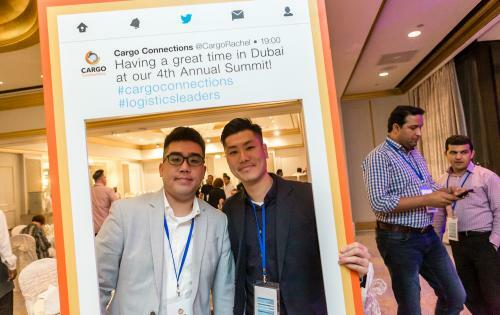 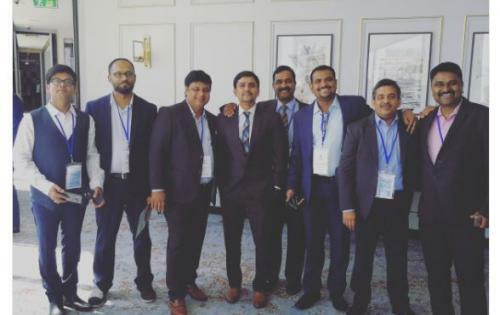 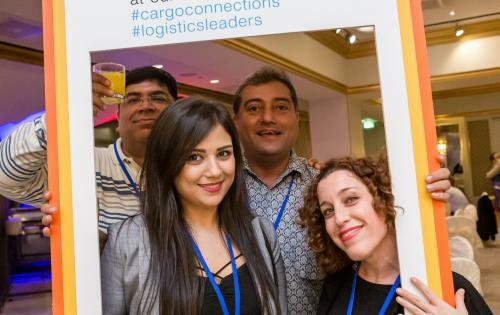 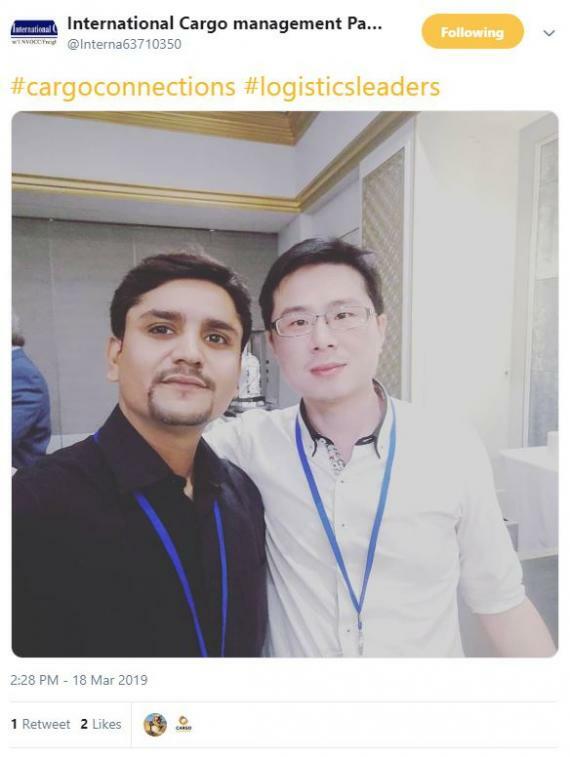 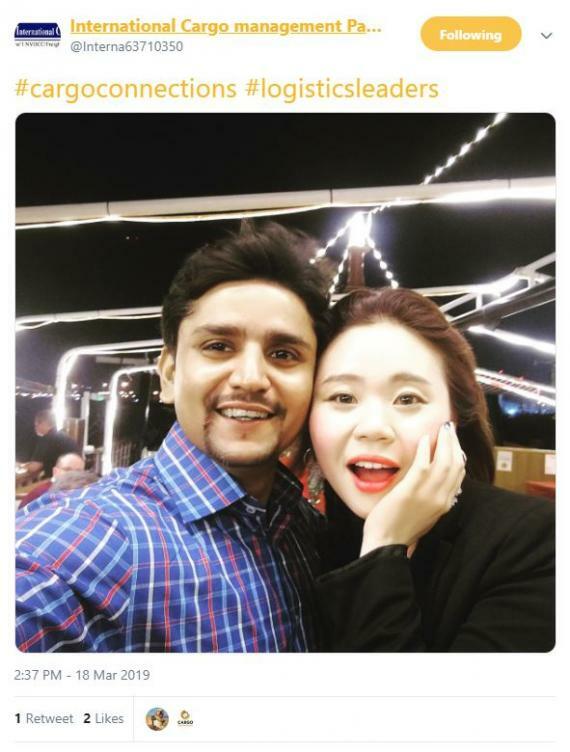 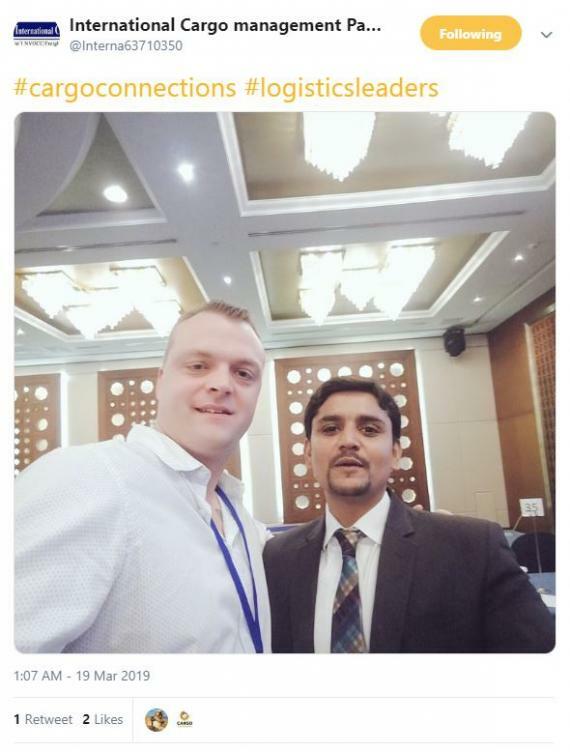 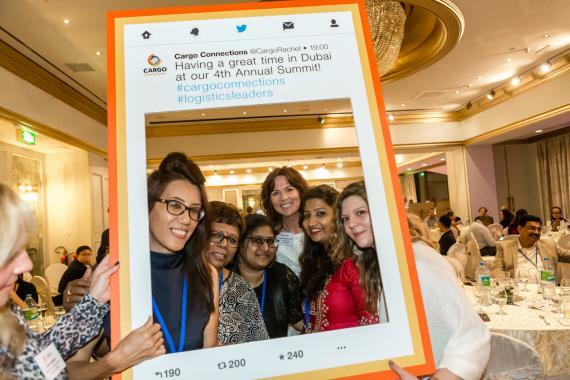 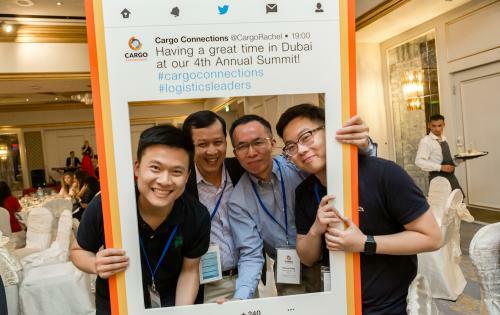 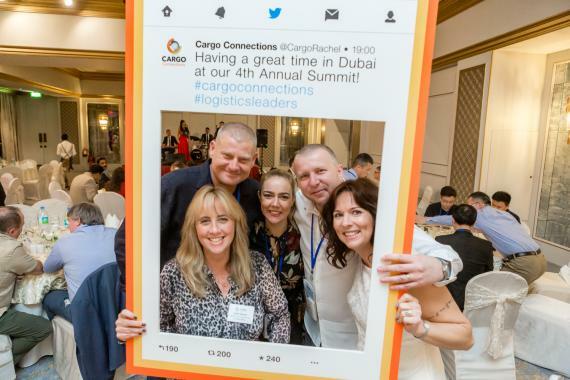 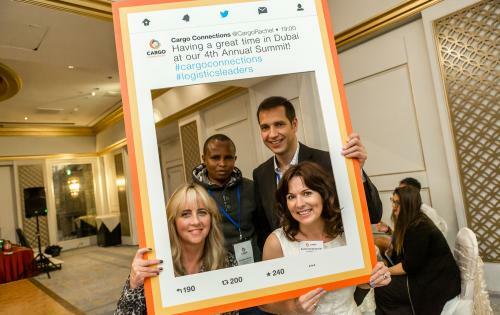 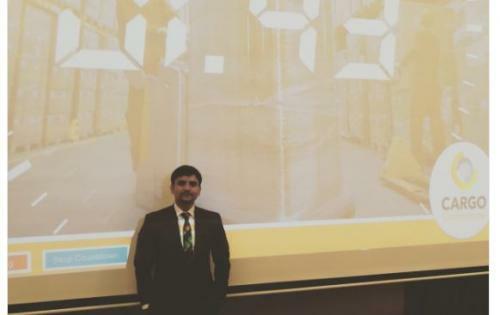 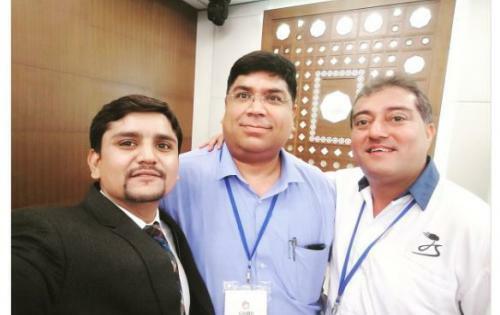 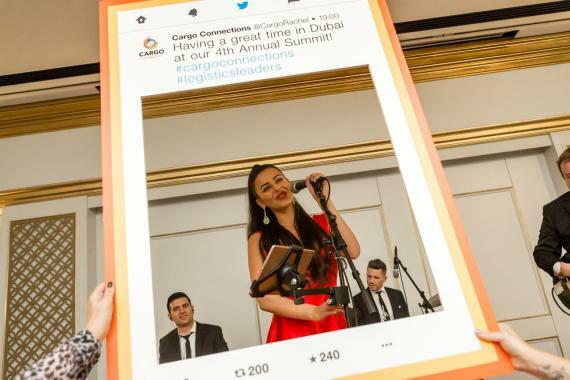 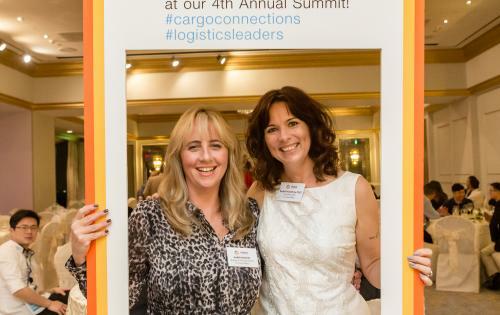 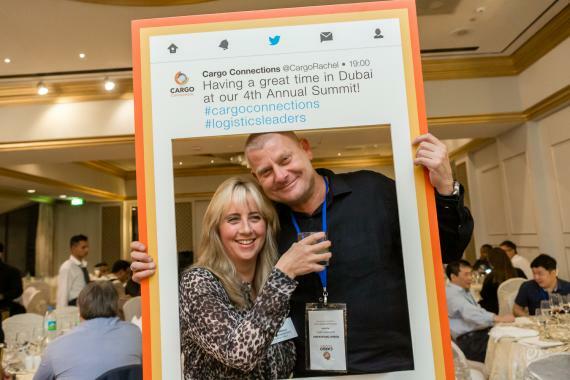 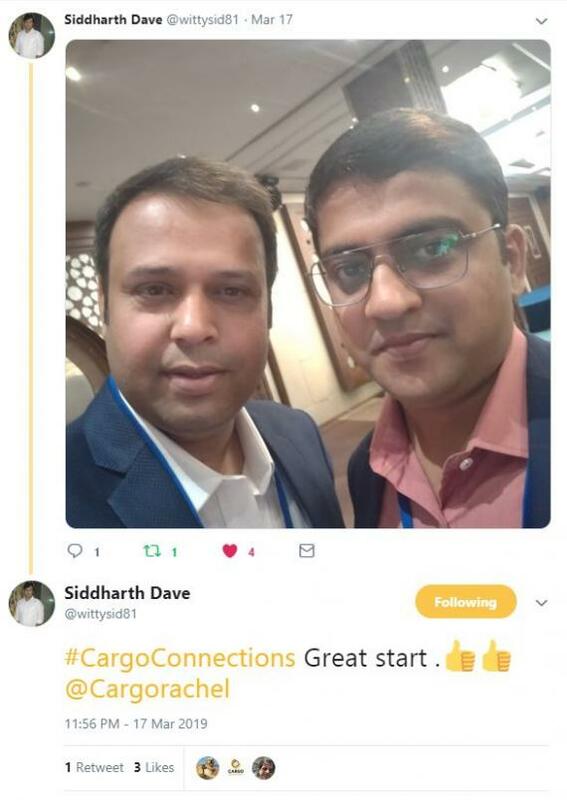 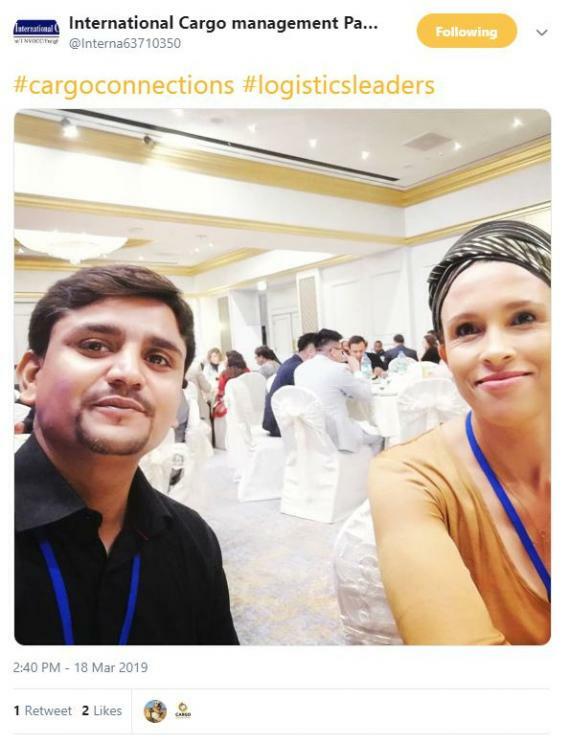 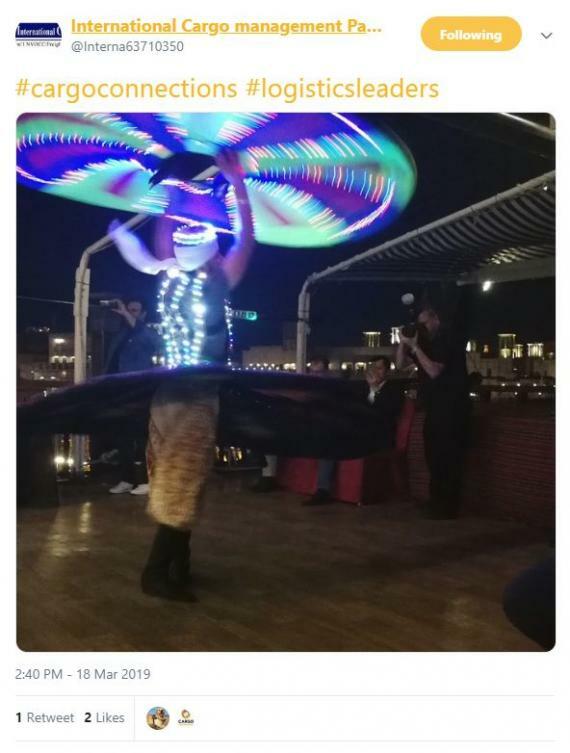 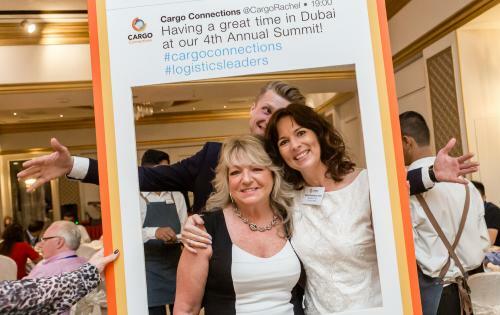 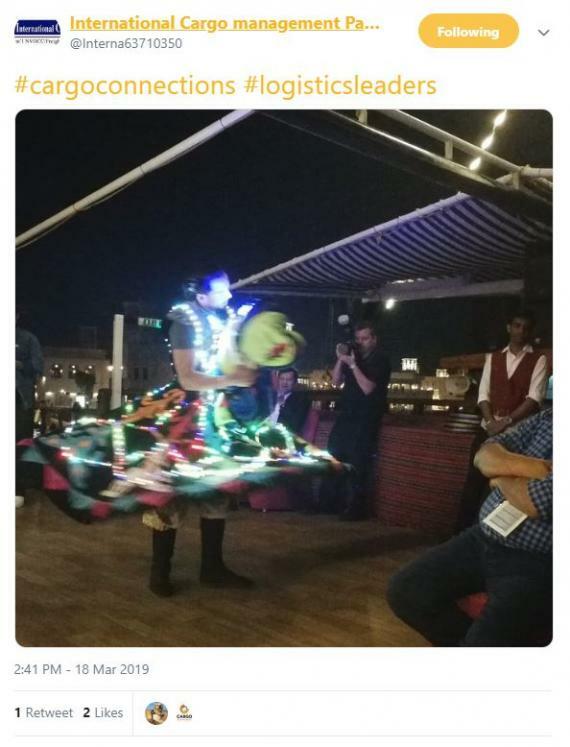 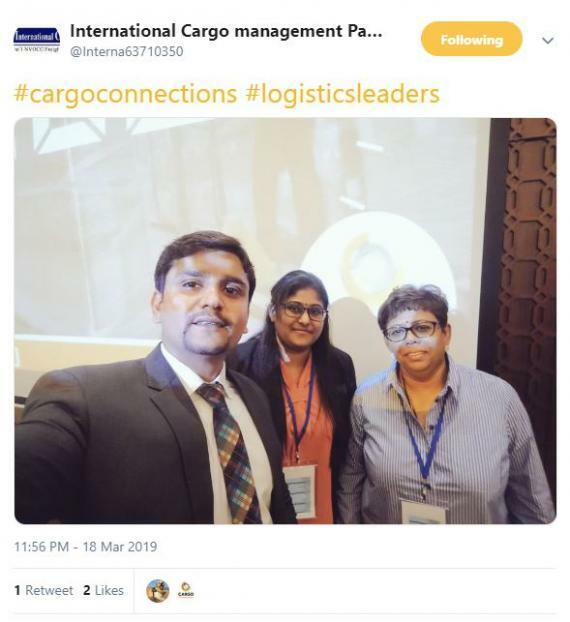 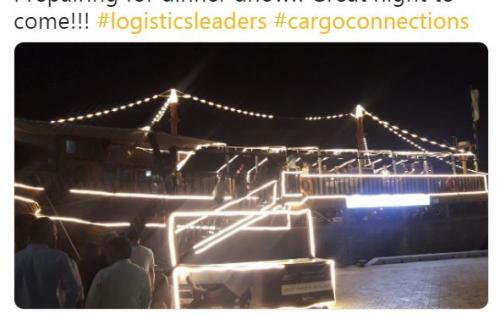 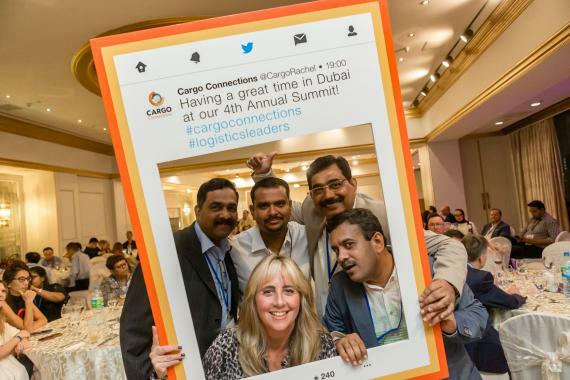 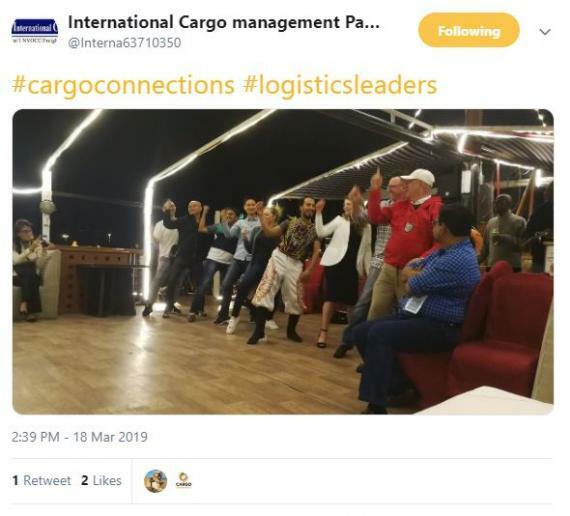 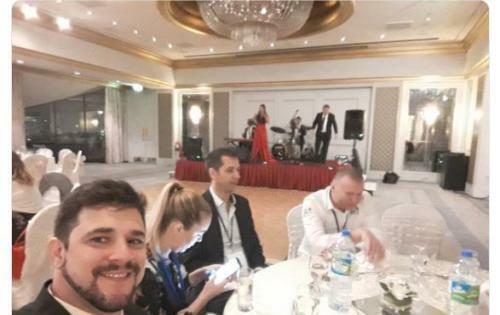 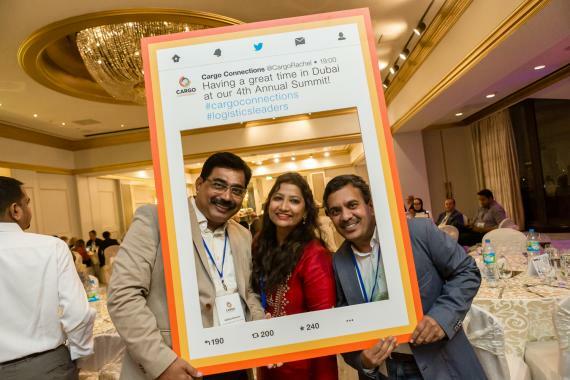 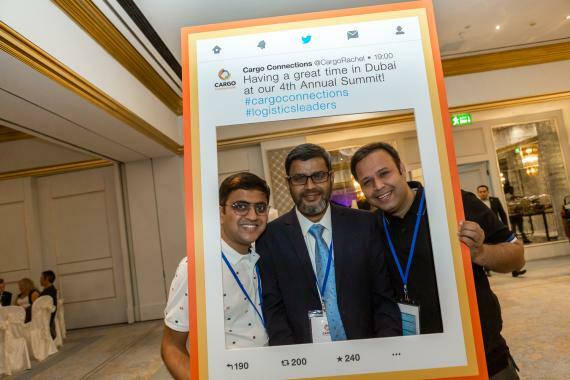 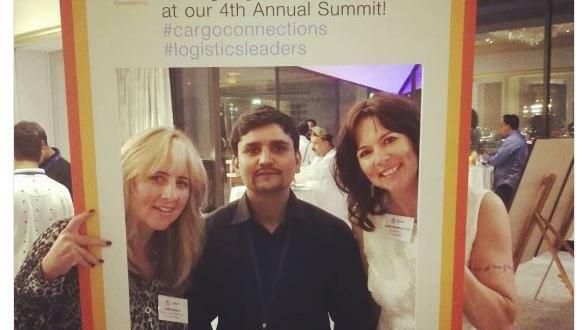 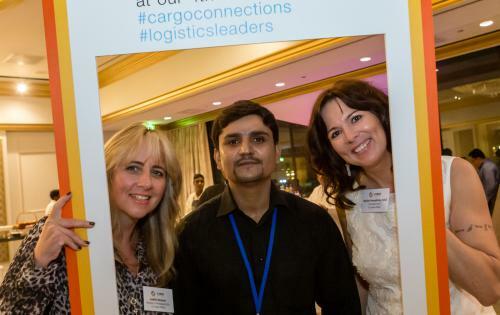 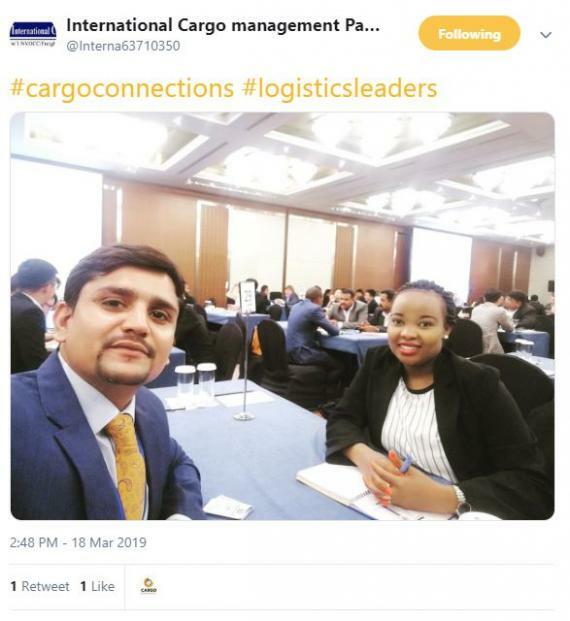 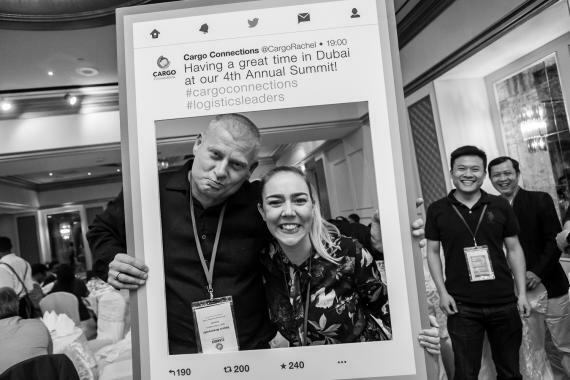 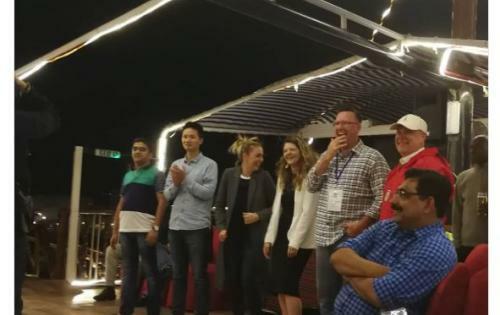 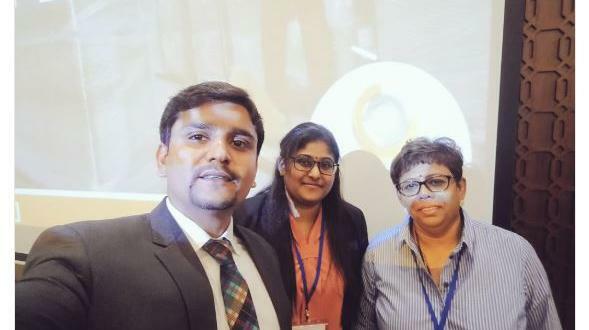 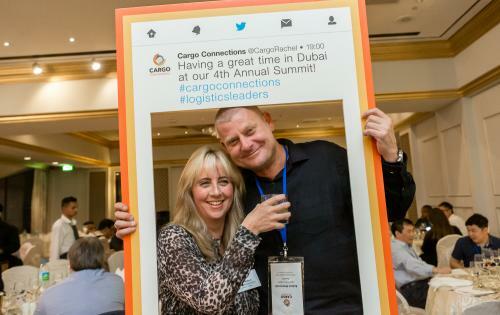 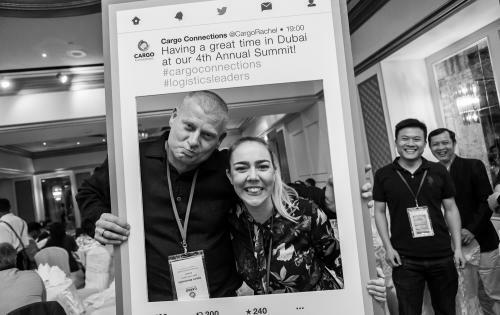 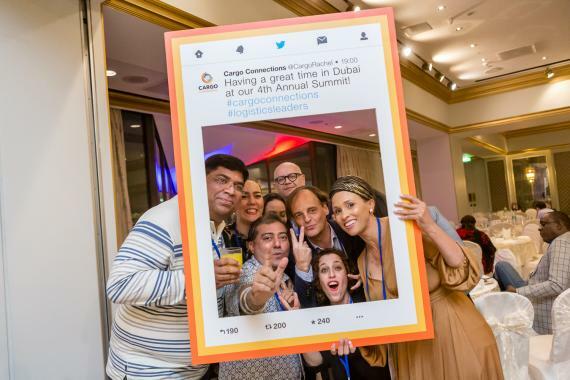 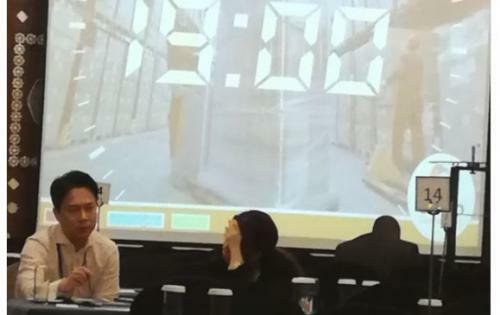 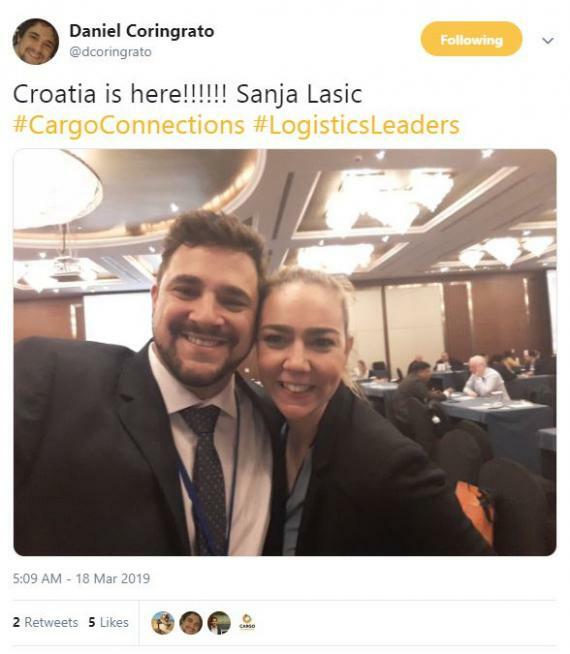 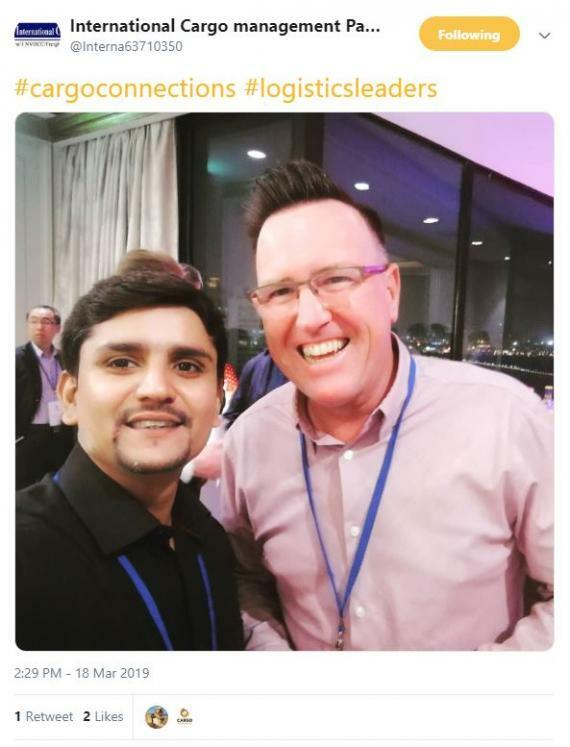 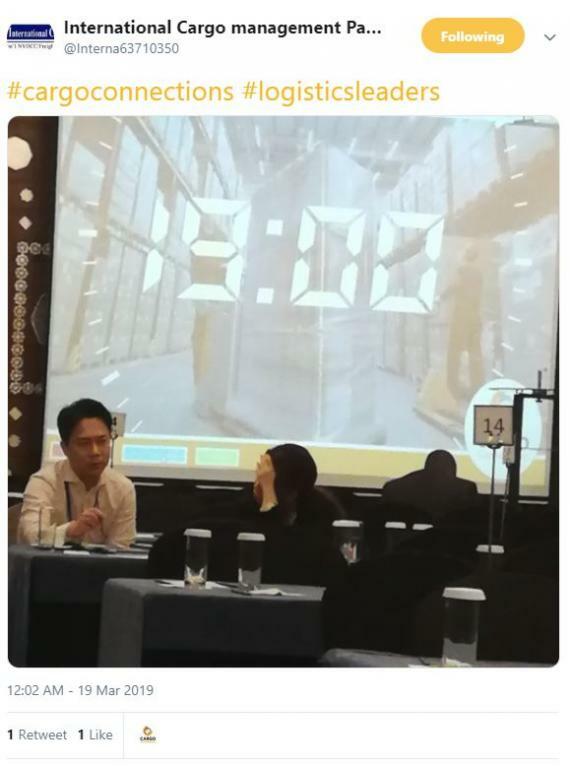 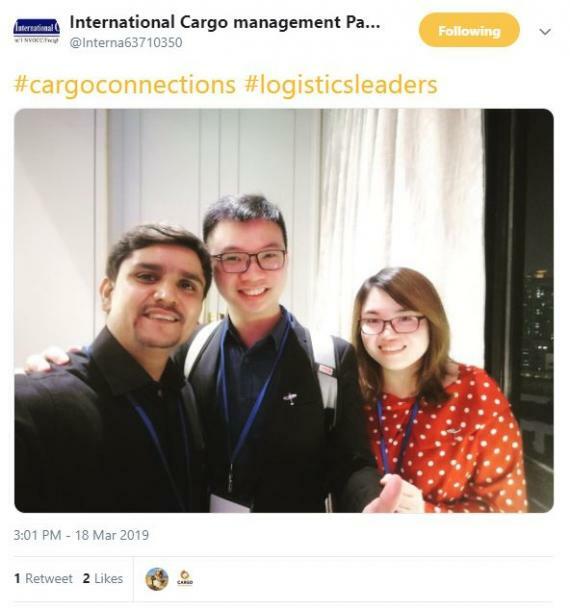 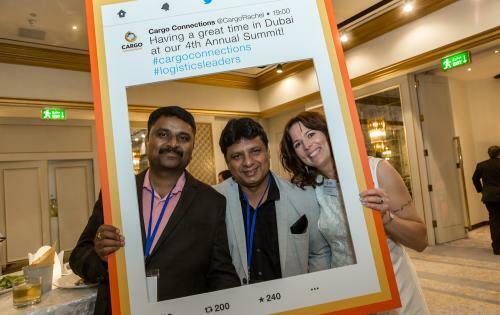 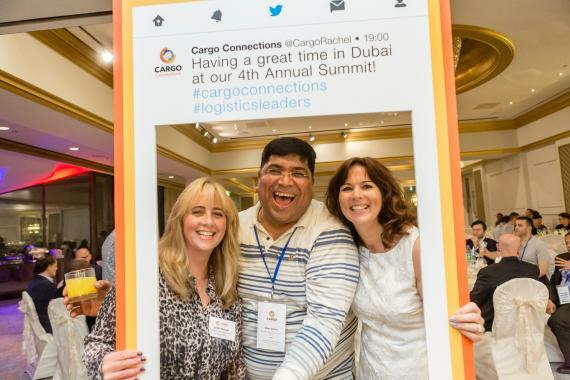 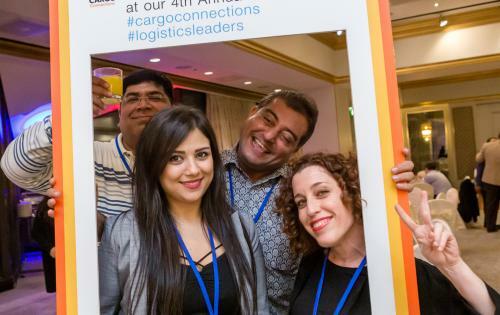 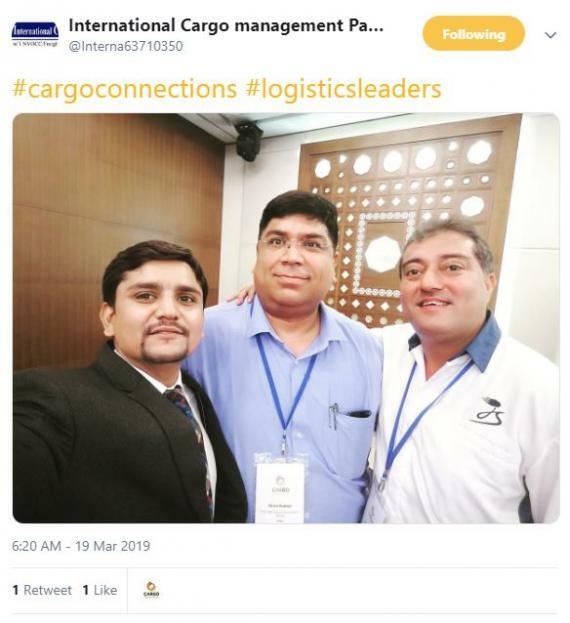 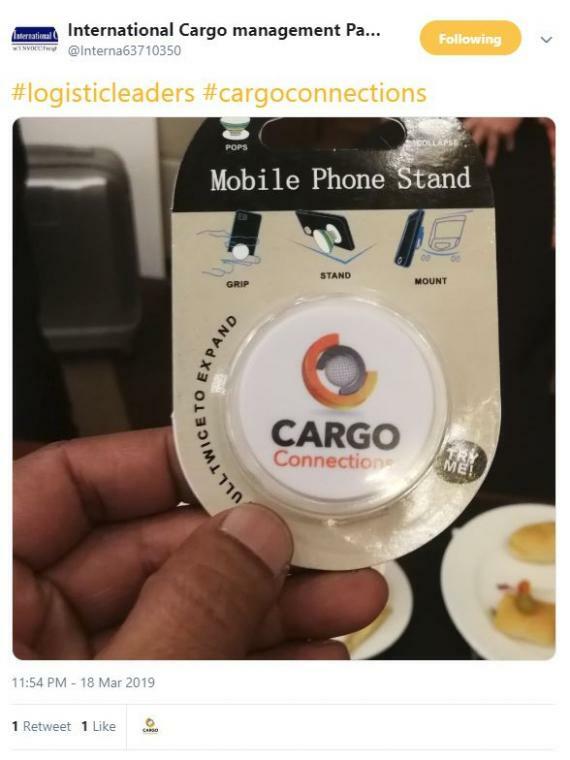 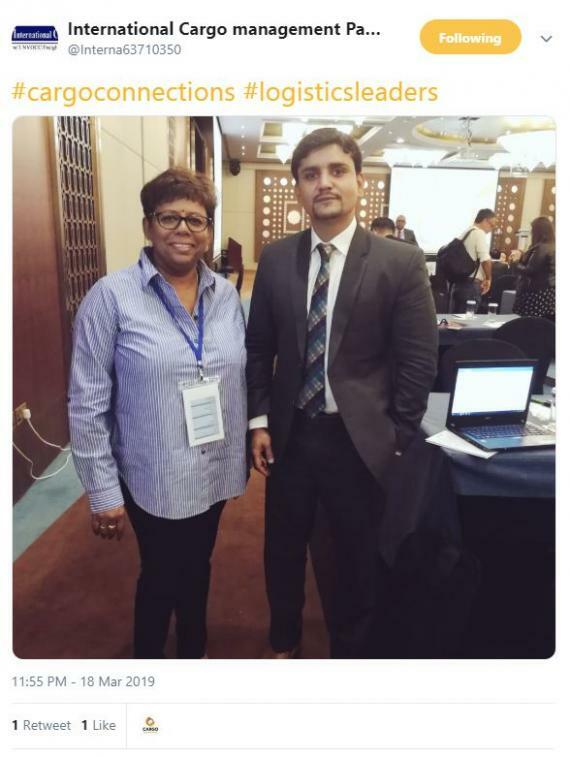 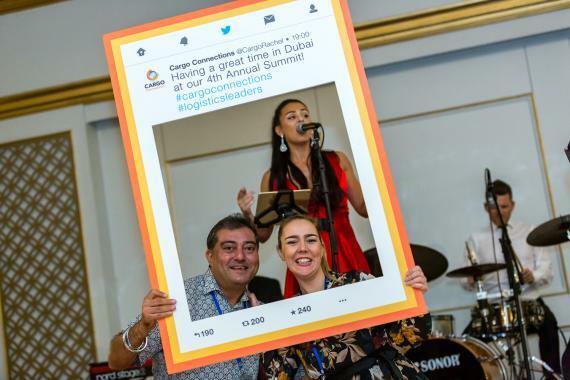 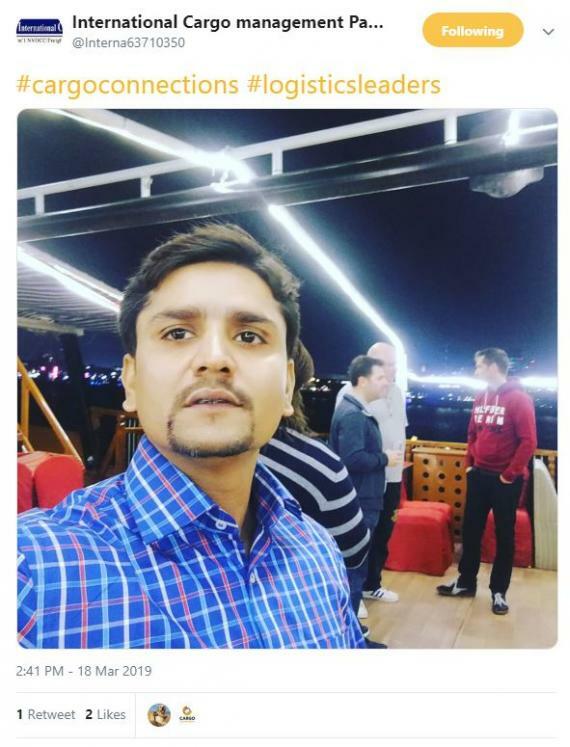 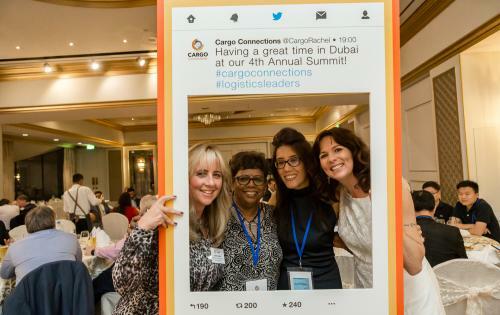 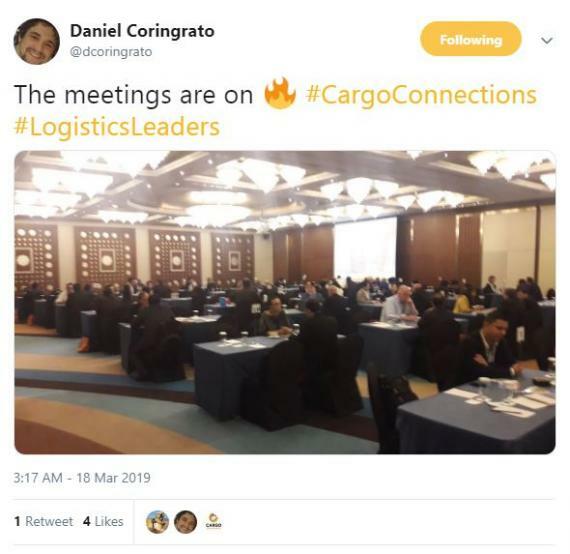 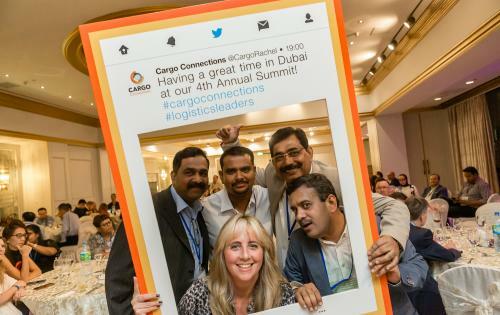 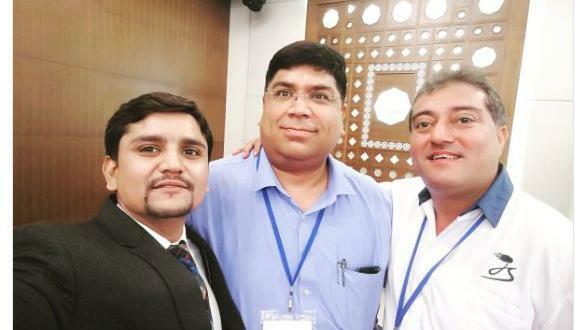 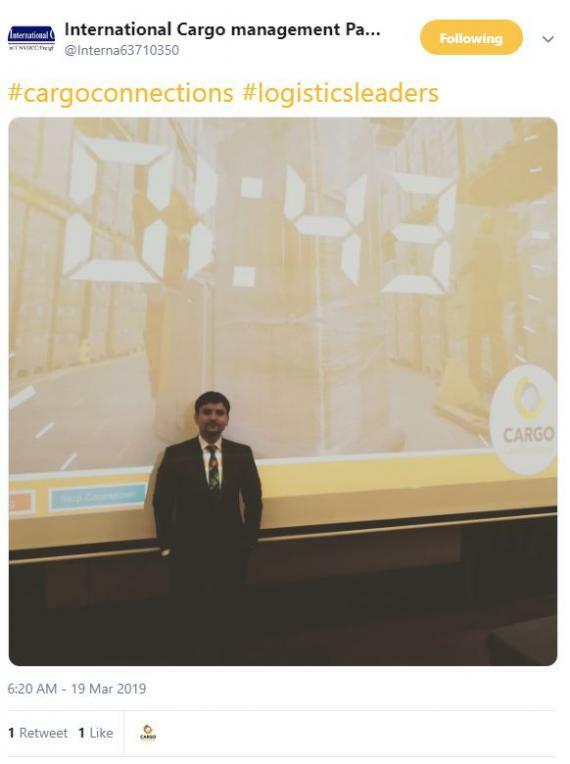 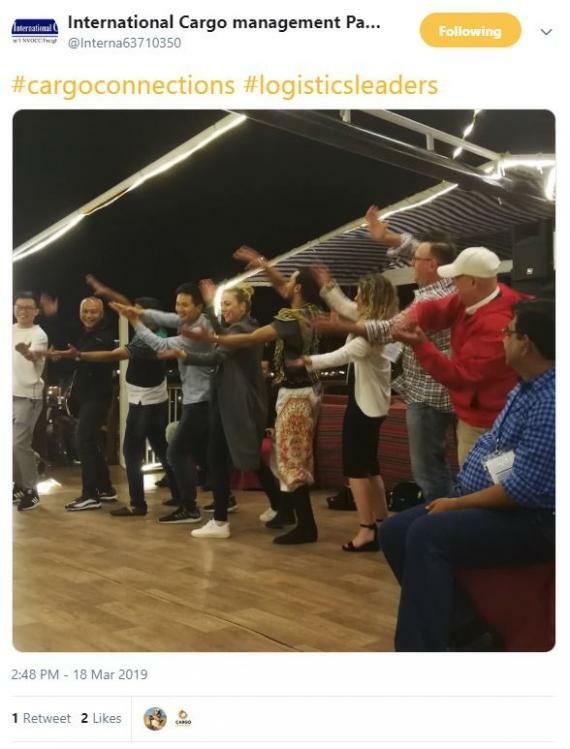 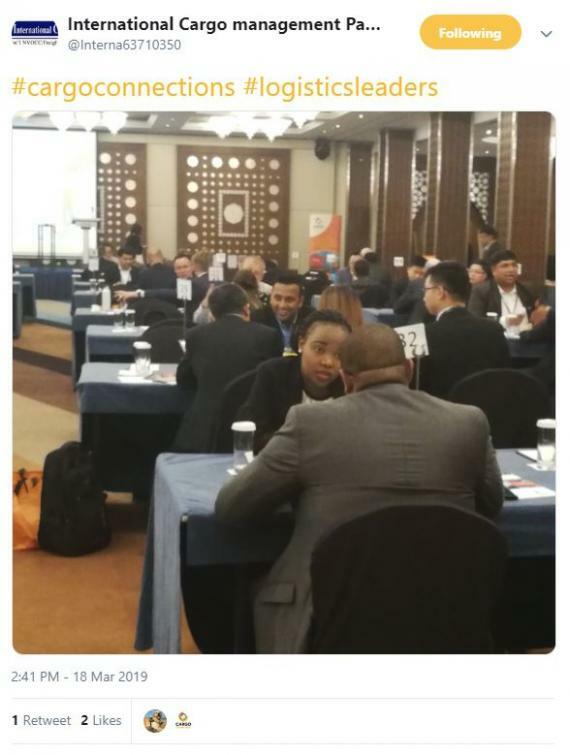 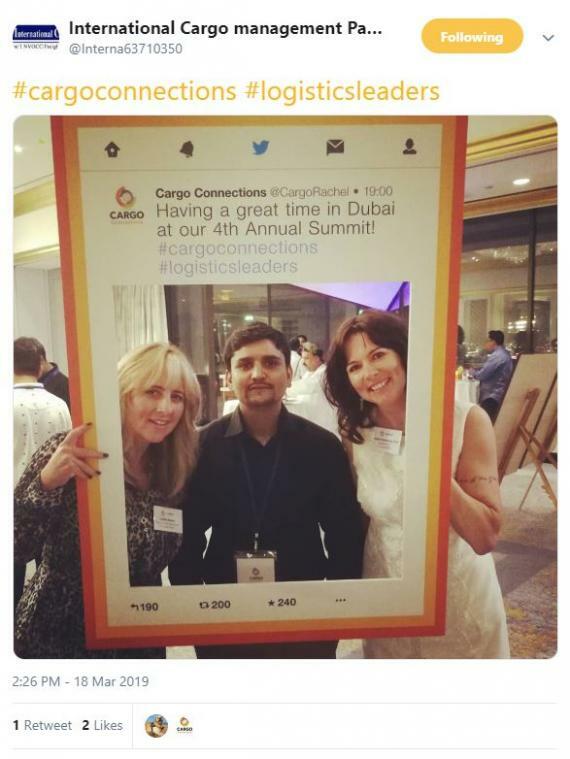 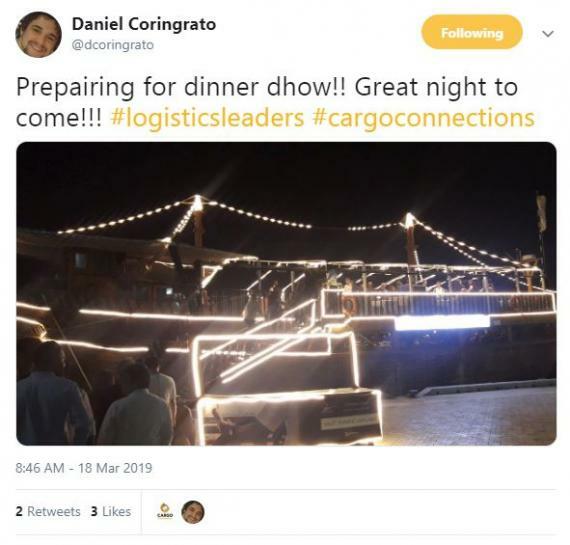 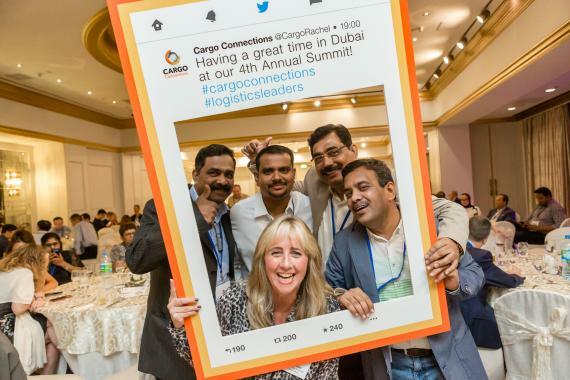 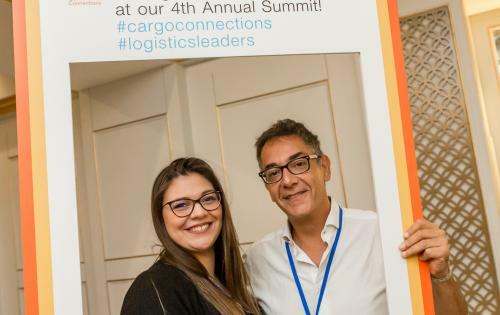 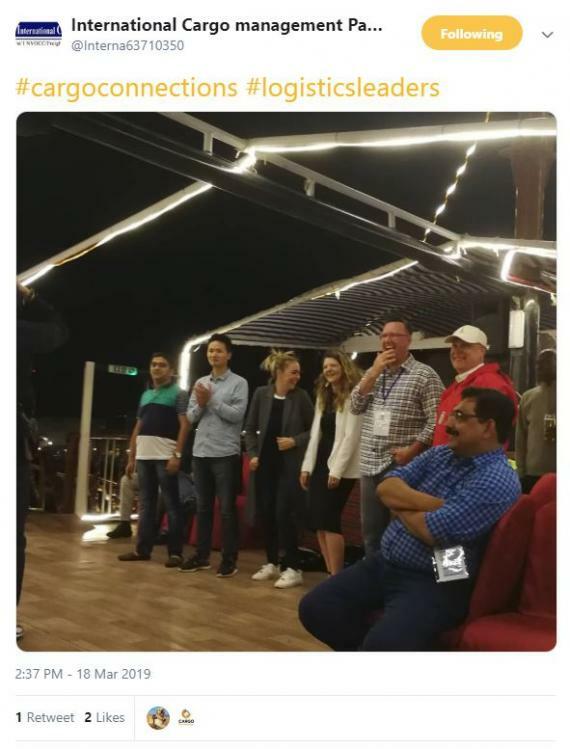 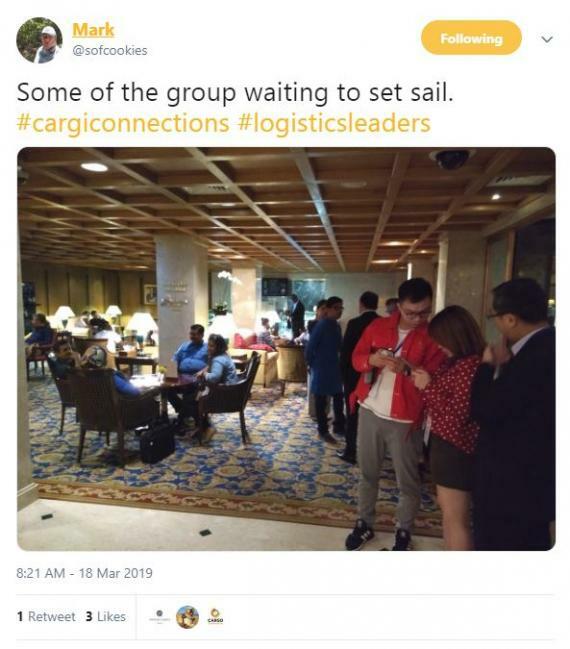 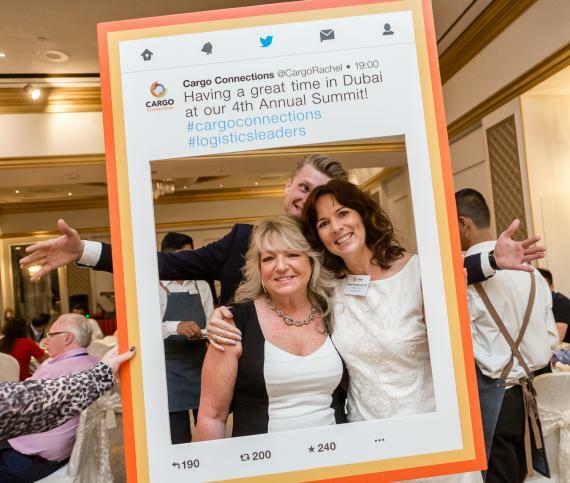 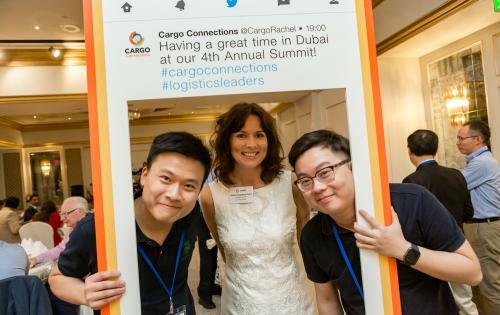 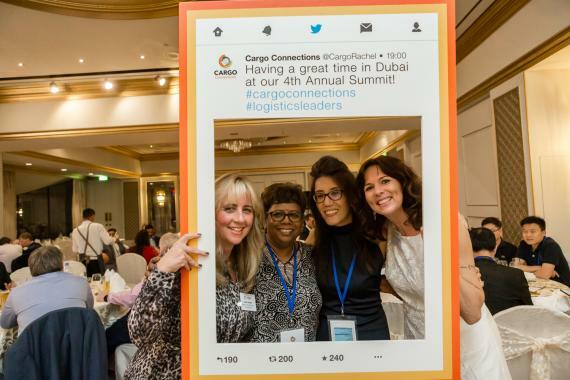 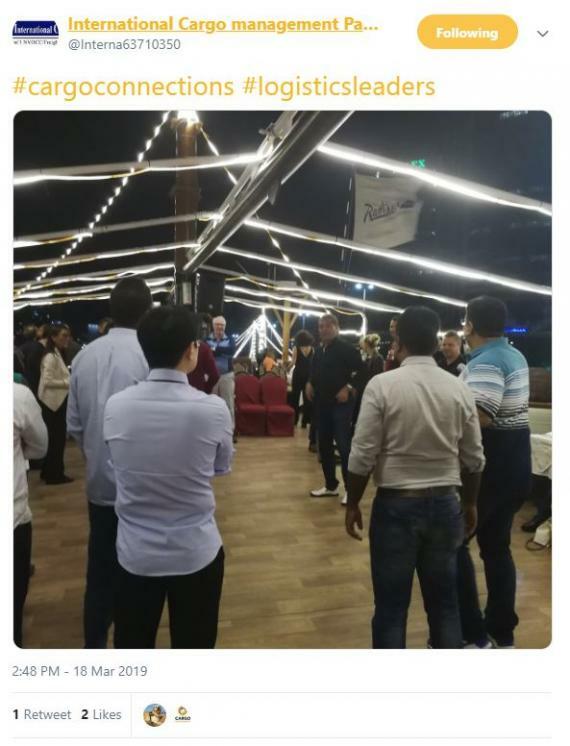 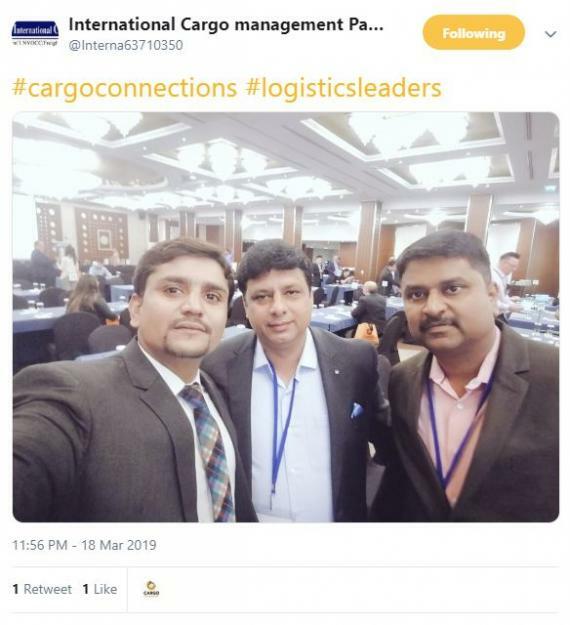 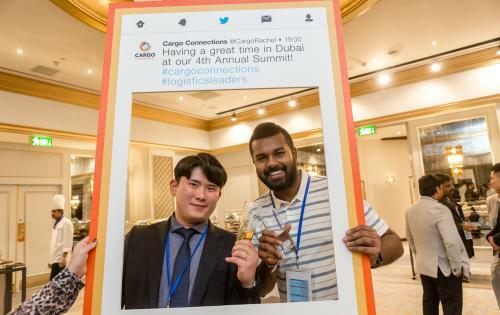 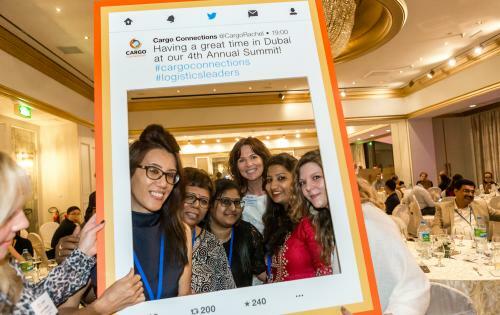 The competition ran through the entire event and some great entries were received showing both the hard work and the social fun with the hashtags #cargoconnections and #logisticsleaders. 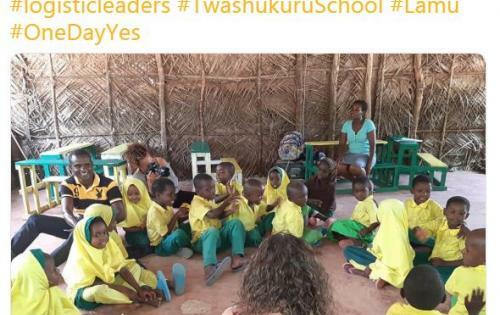 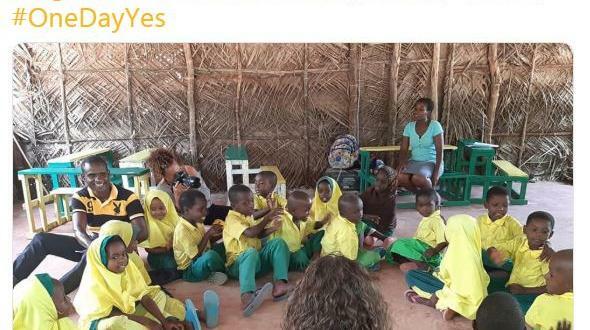 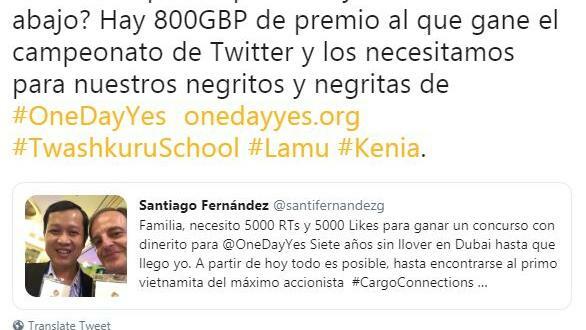 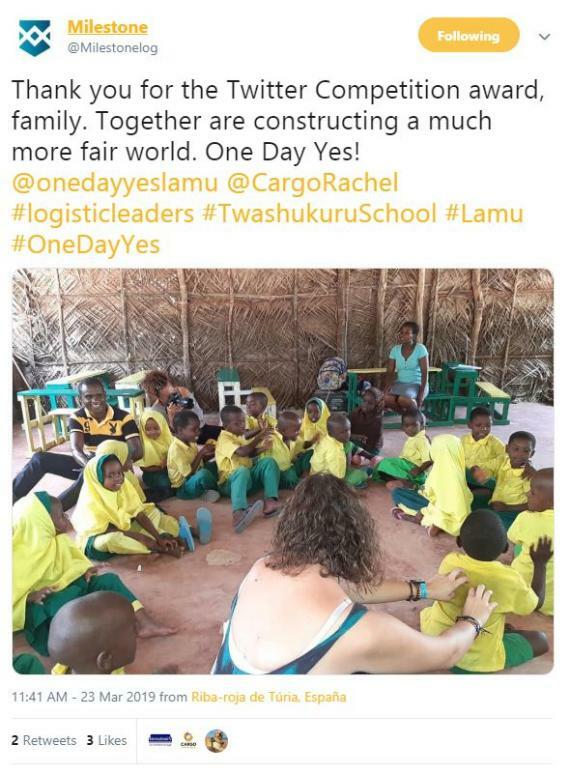 President/C.E.O., Rachel Humphrey: "The 1st prize of a free registration fee to our 2020 Annual Assembly (taking place in Phuket, Thailand) was won by Santiago Fernandez of Milestone Logistics in Spain who again kindly donated his prize to the One Day Yes Charity, which supports the Twashukuru Nursery School in Lamu, Kenya (click here for more information). 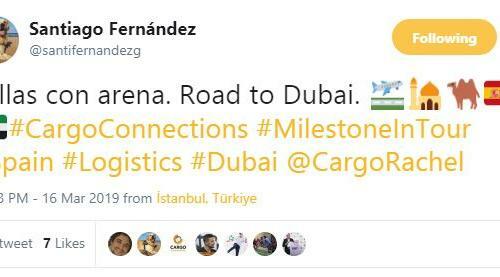 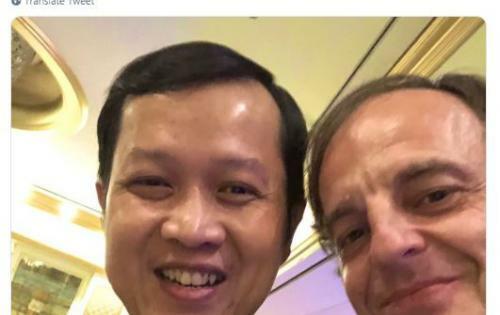 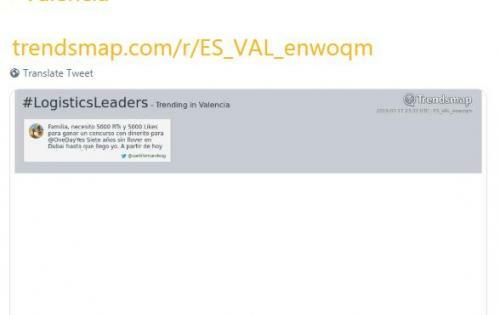 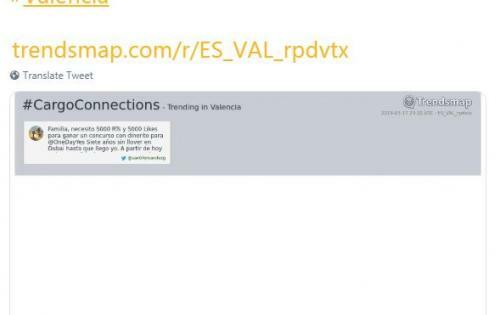 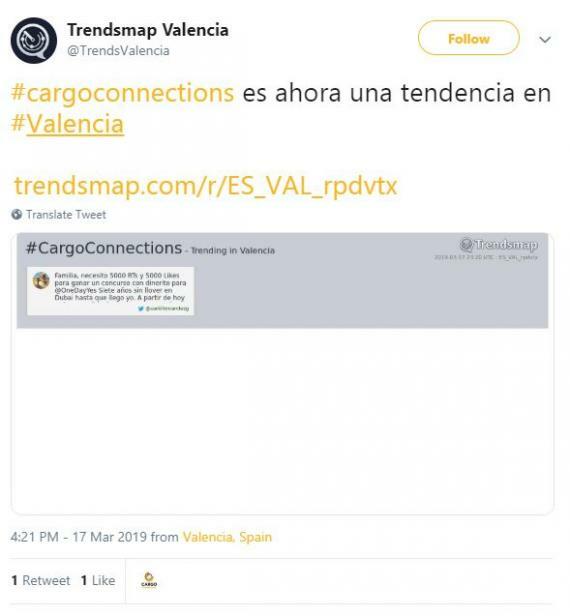 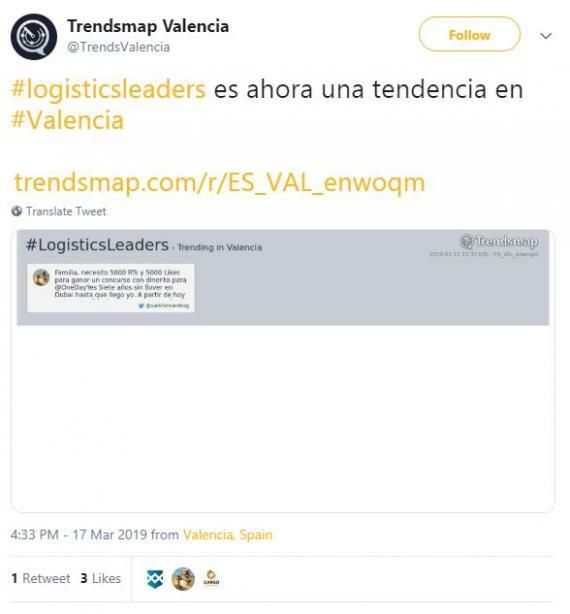 Santiago's tweet even managed to get the hashtag #cargoconnections trending on Twitter in Valencia, Spain!" 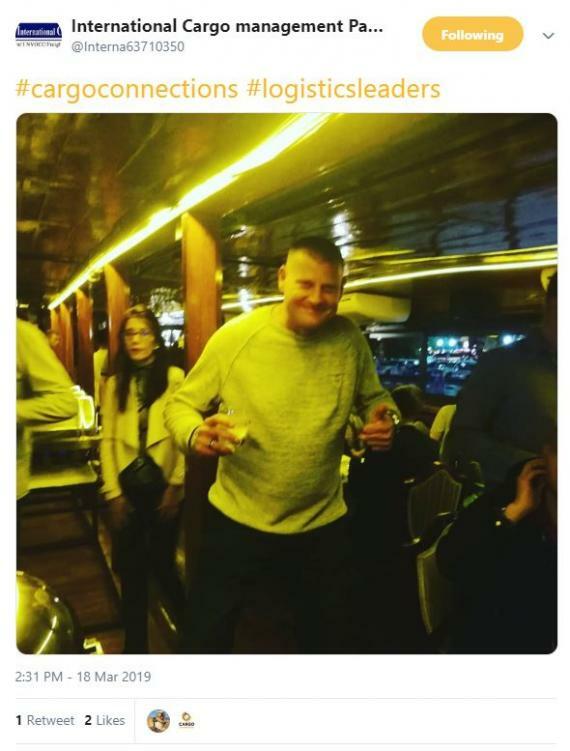 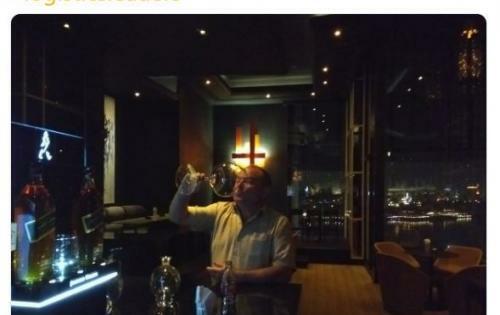 Please take the time to view all entries in the gallery below. 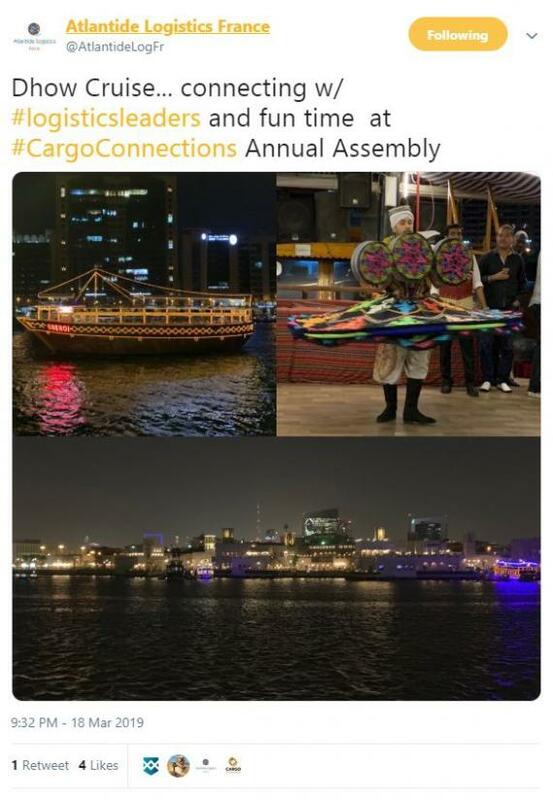 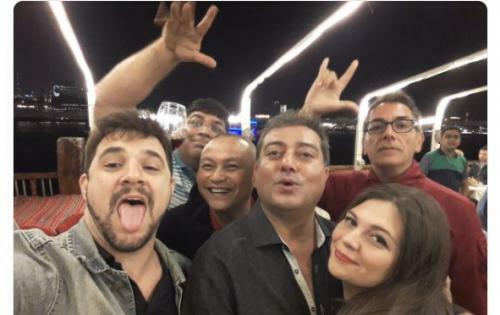 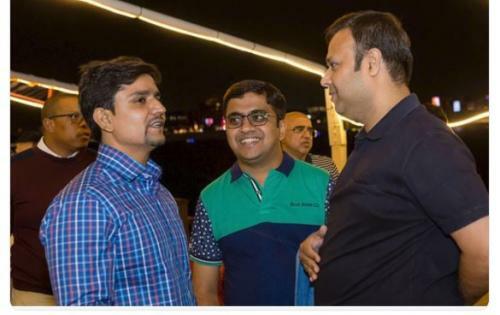 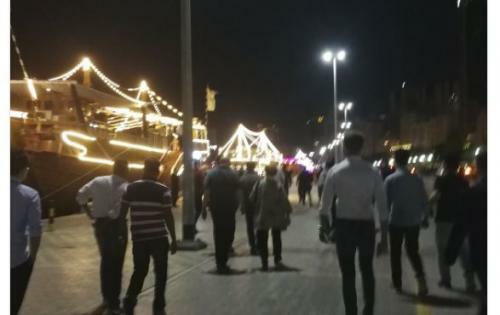 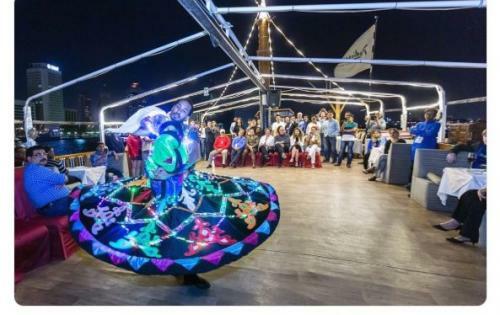 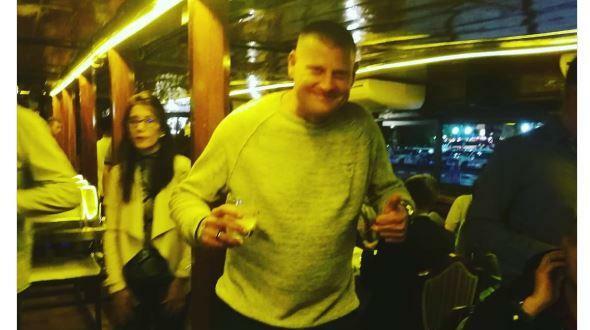 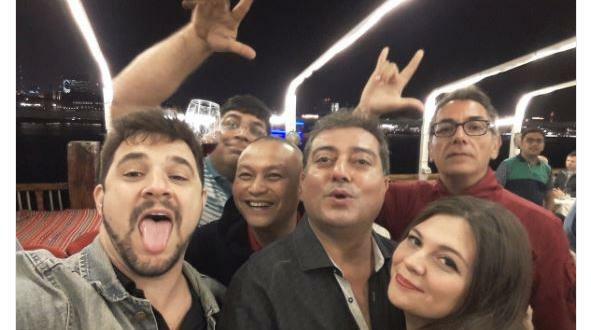 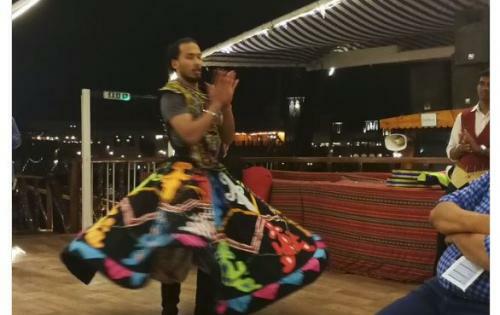 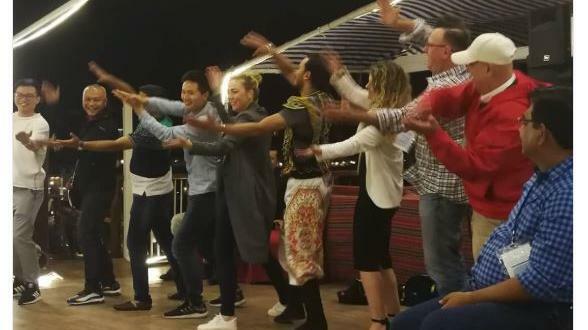 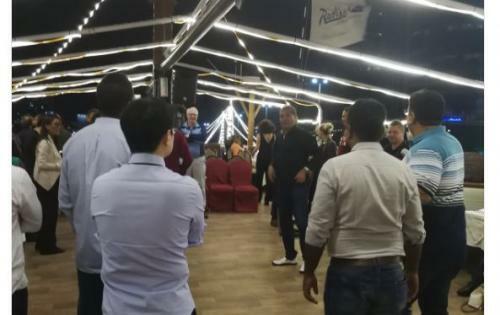 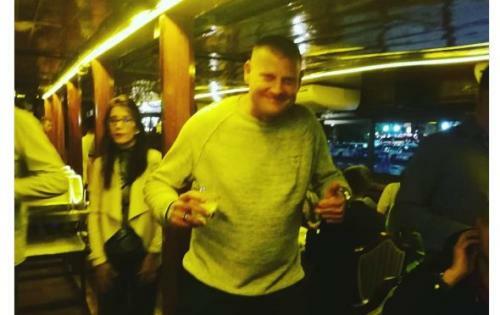 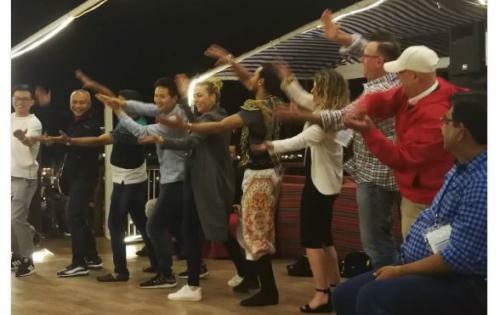 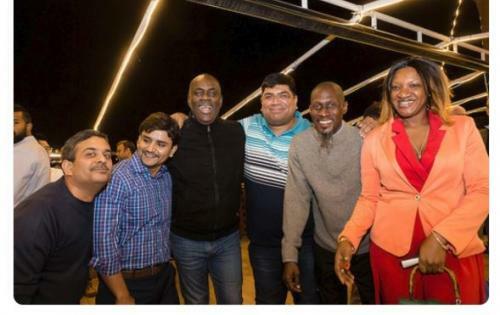 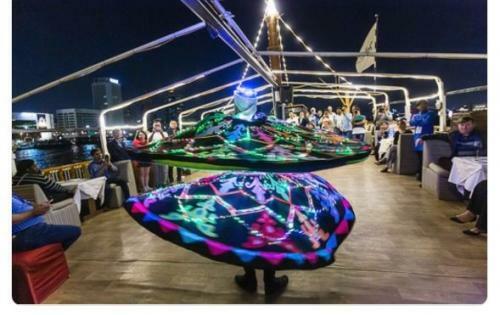 You can also click on the following links to see the official photos from the Gala Dinner, Meeting Room and Dhow Dinner Cruise.